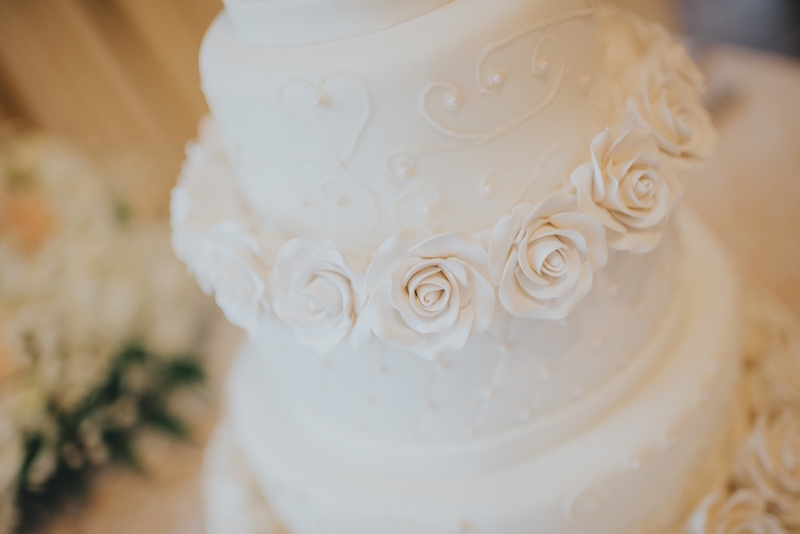 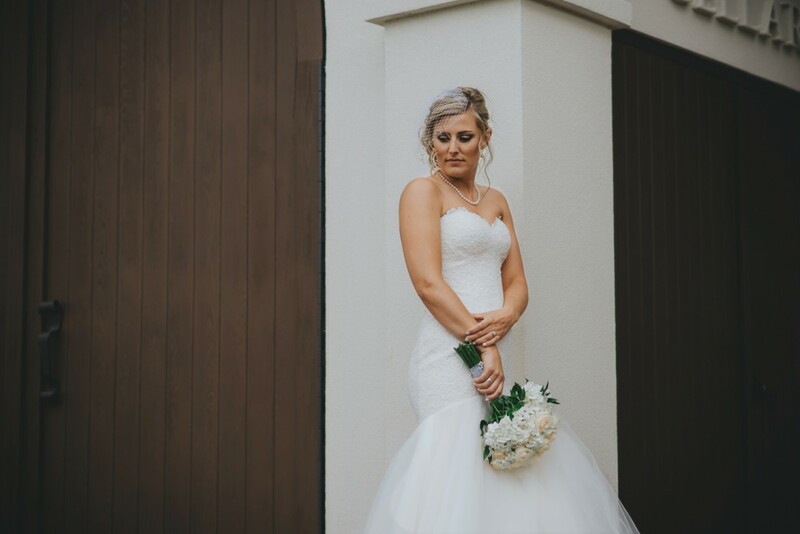 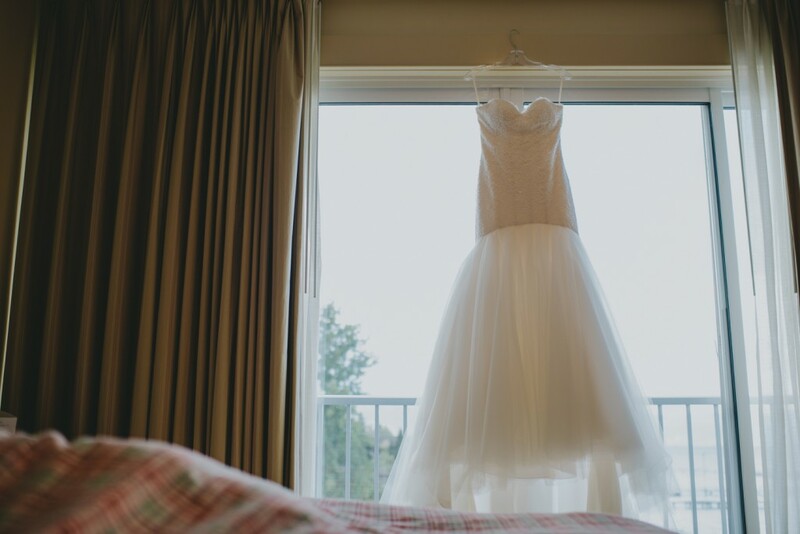 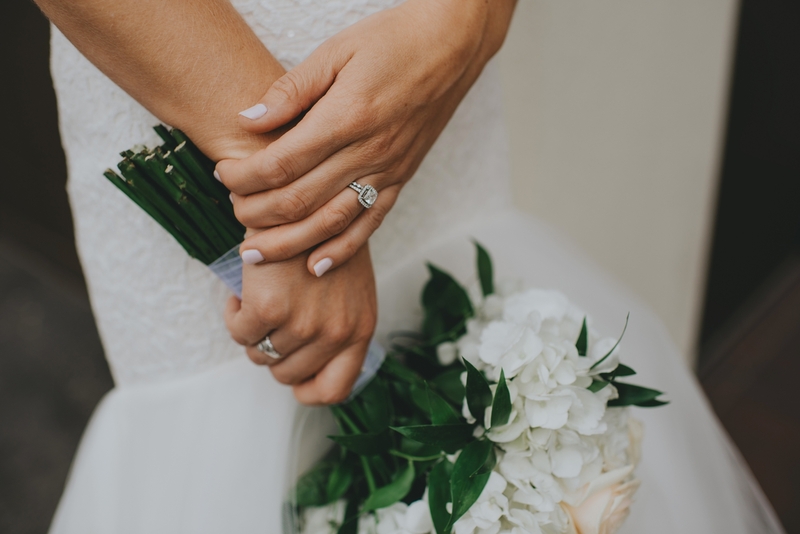 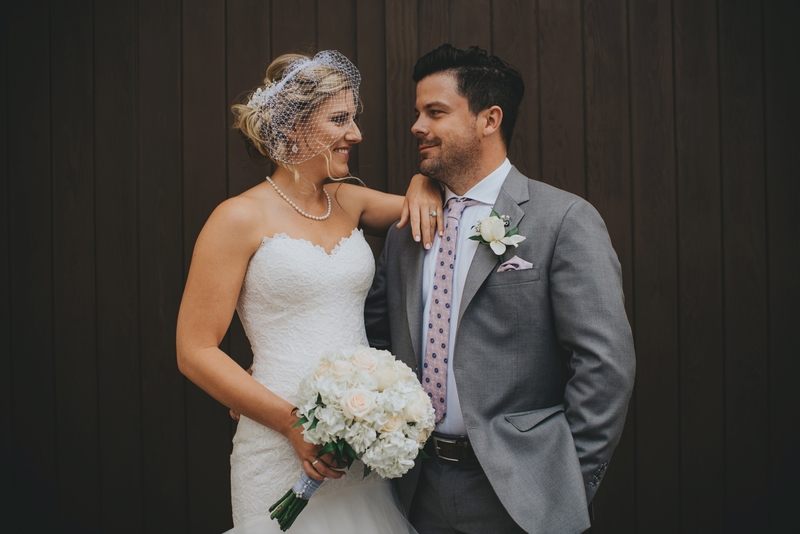 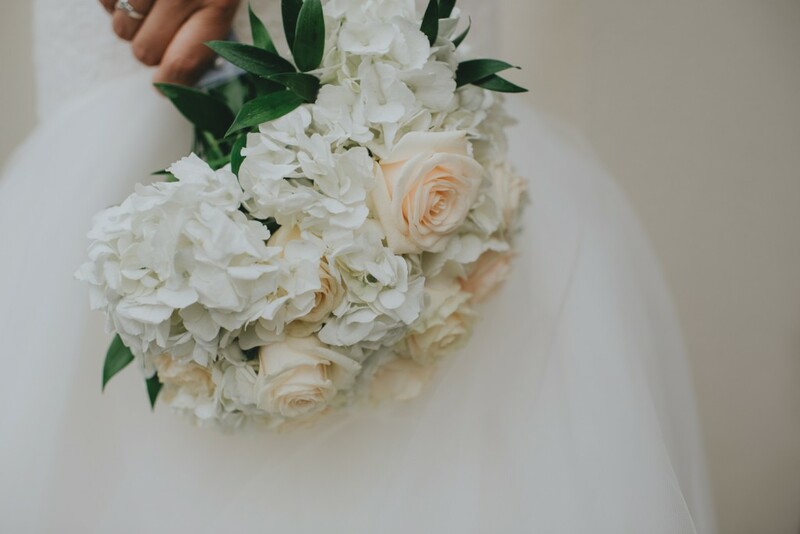 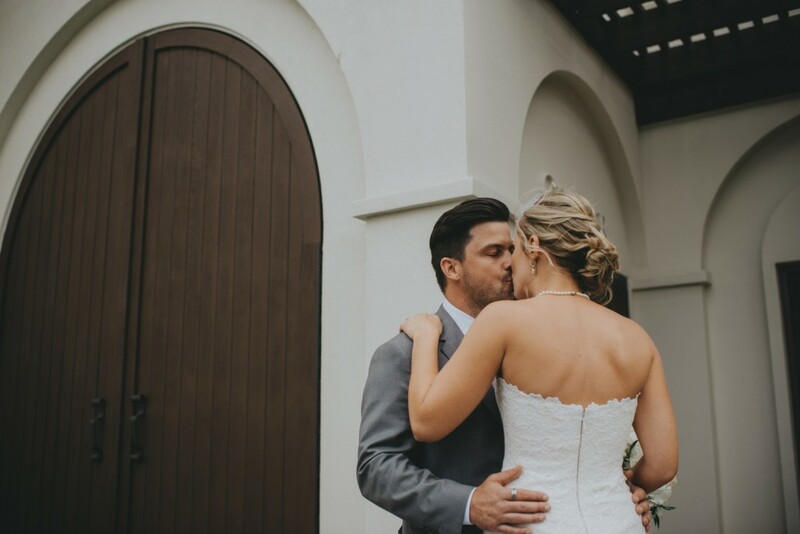 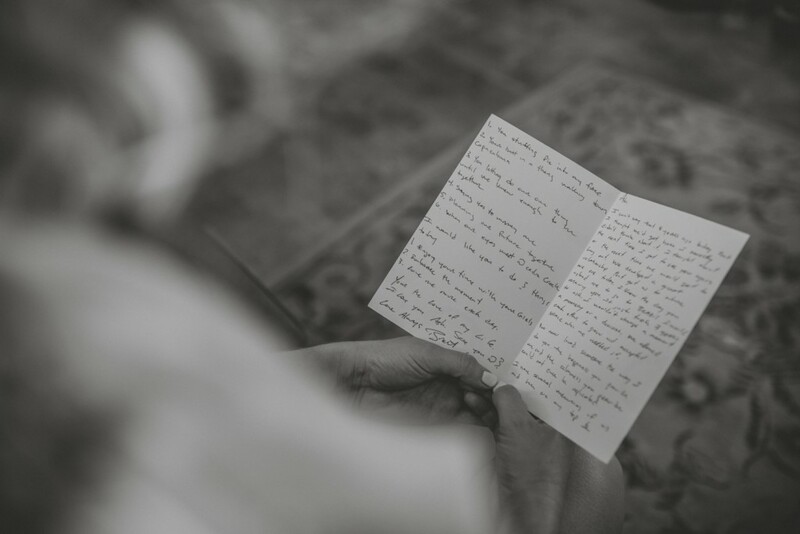 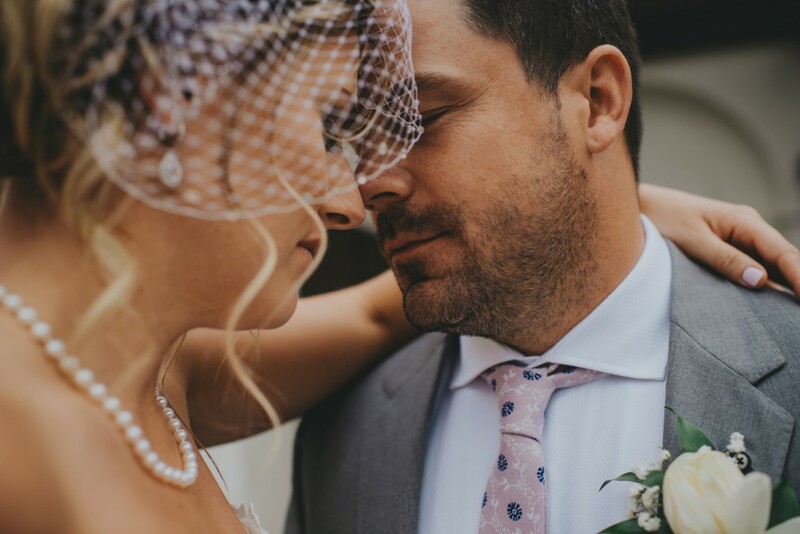 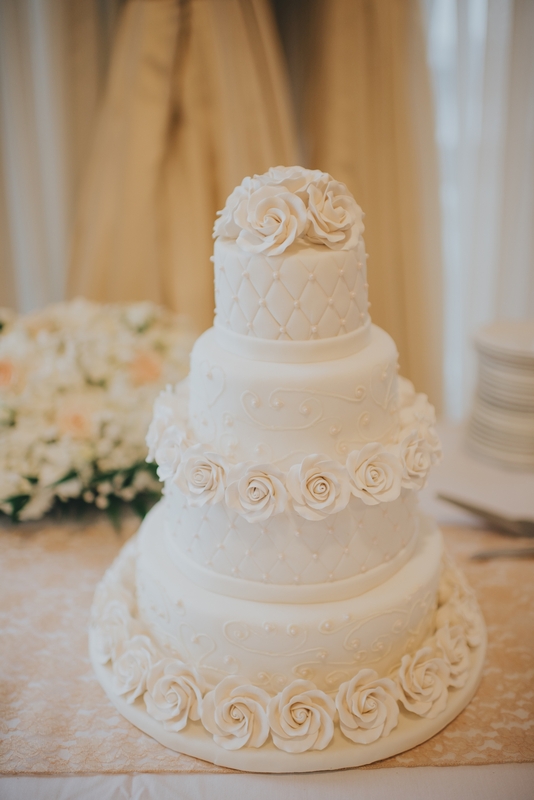 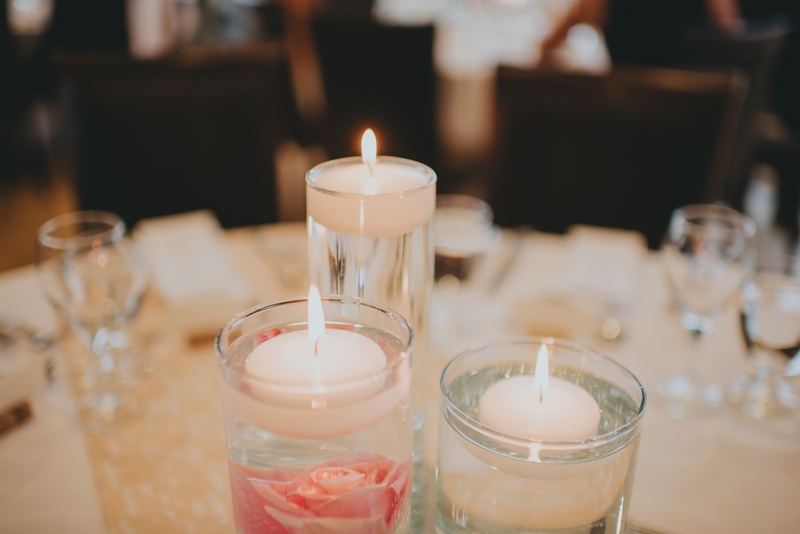 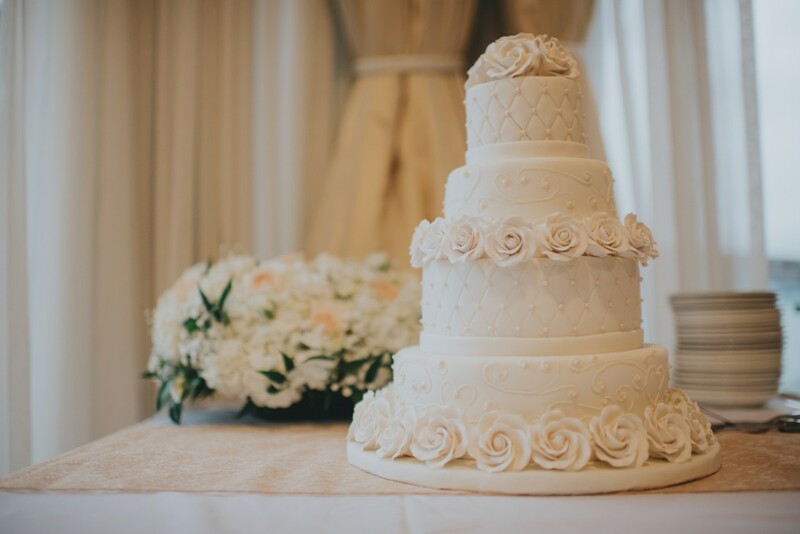 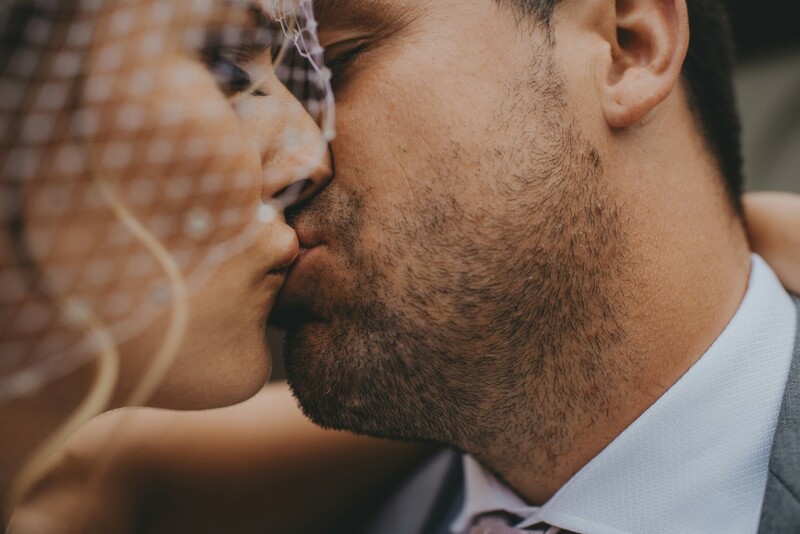 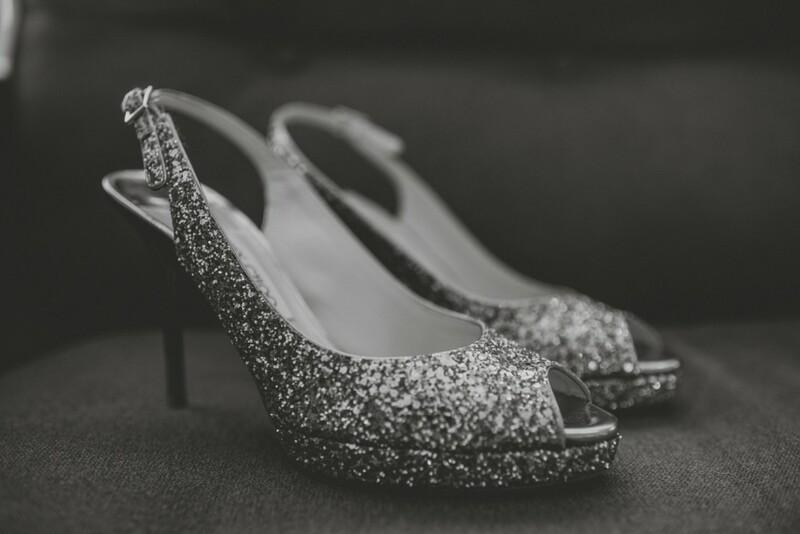 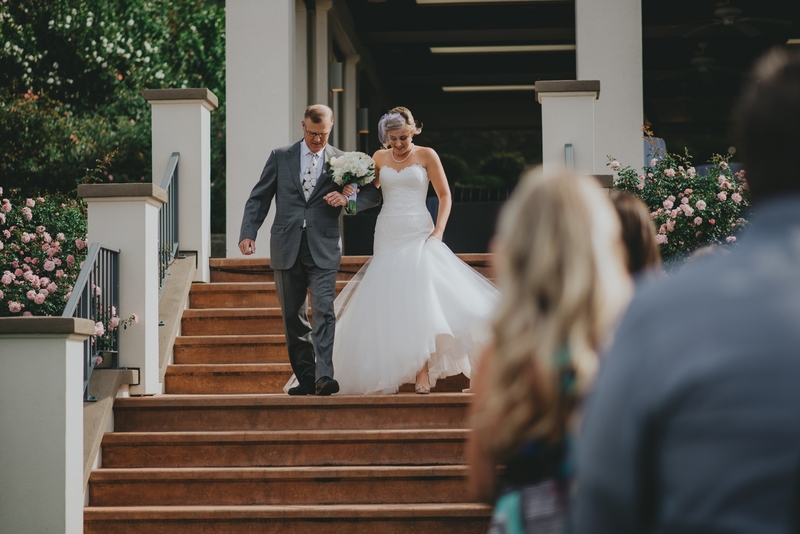 Brett and Ashley’s Cedar Creek wedding day consisted of a huge amount of stunning details from start to finish. 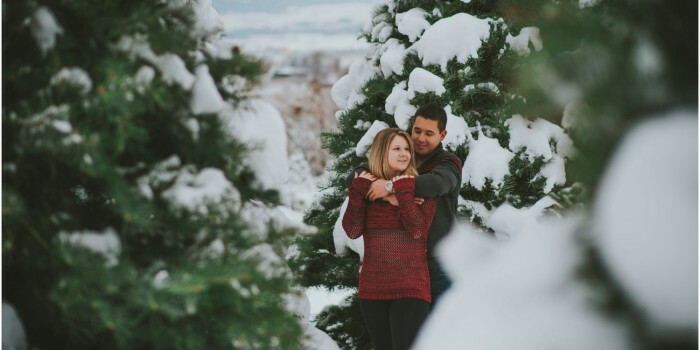 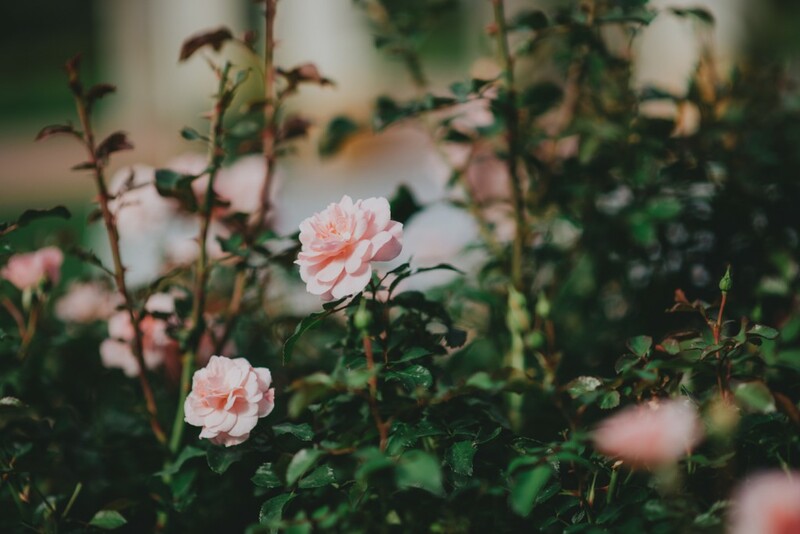 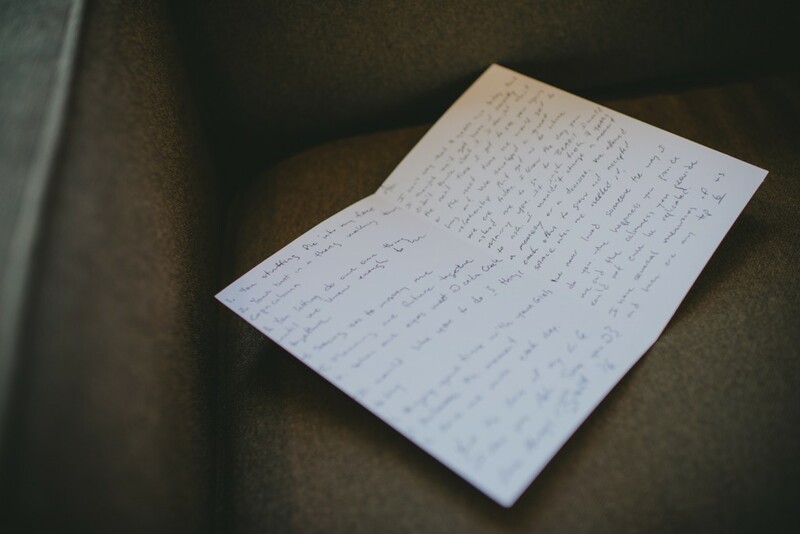 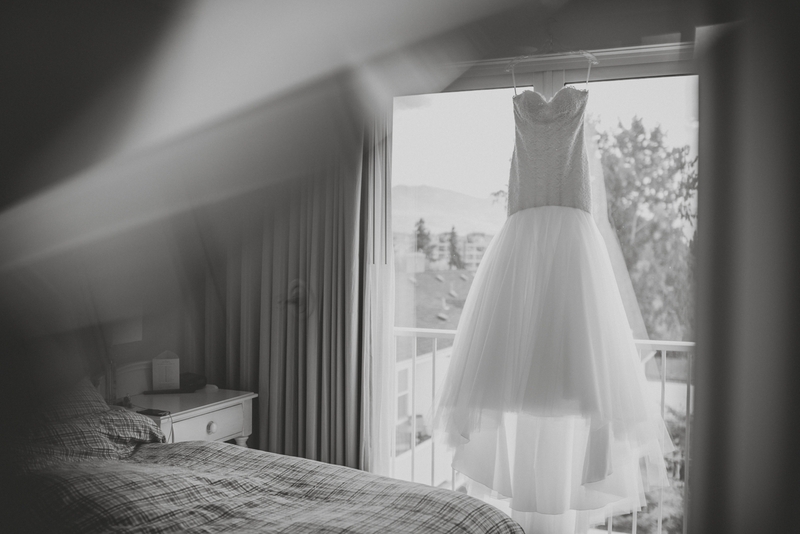 This was one of those days where I seriously rushed home with excitement to start editing these photos! 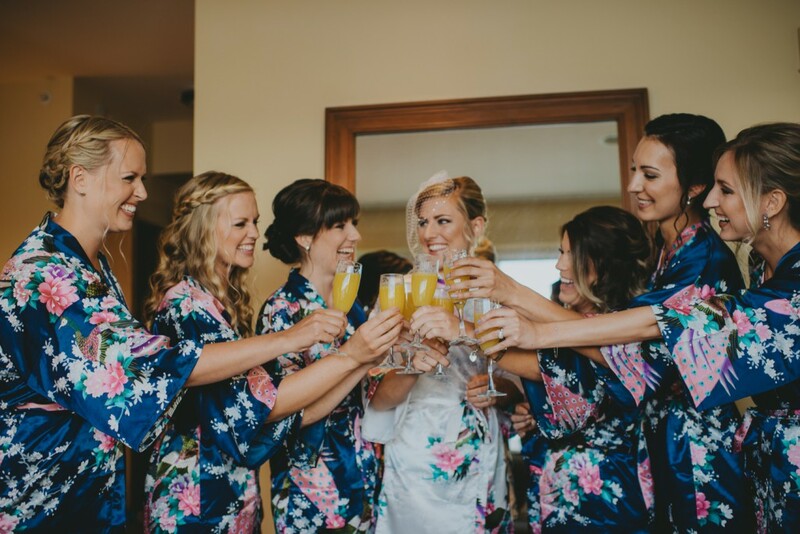 Ashley and her bridesmaids started the morning at the Hotel Eldorado cheers-ing mimosa’s and getting their hair & make up done, as Brett and his guys were getting ready in a house a couple blocks away. 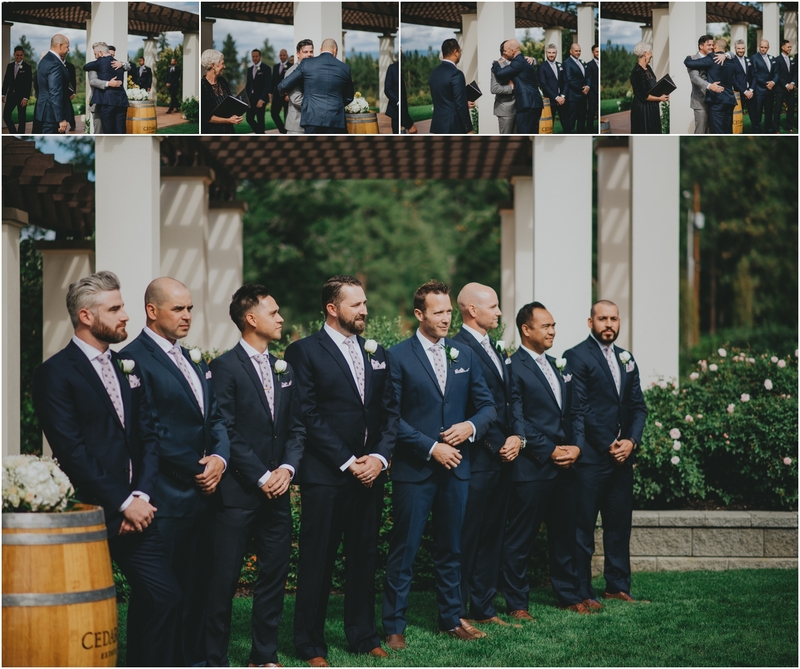 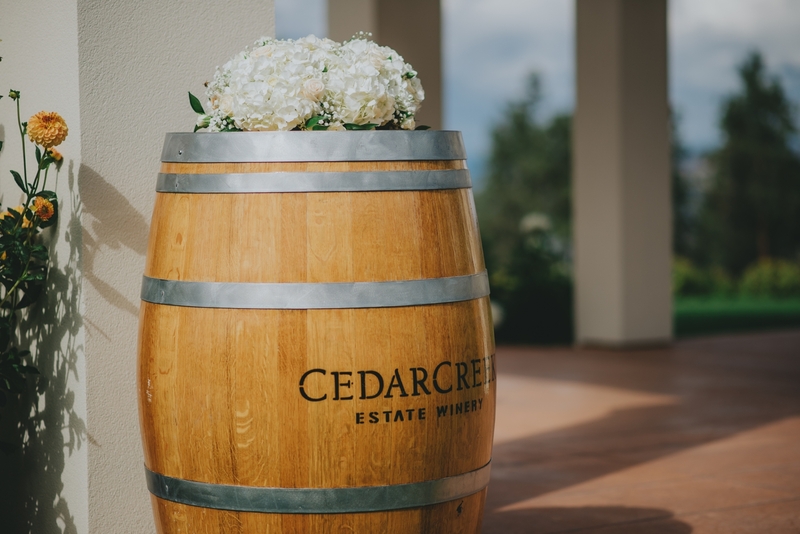 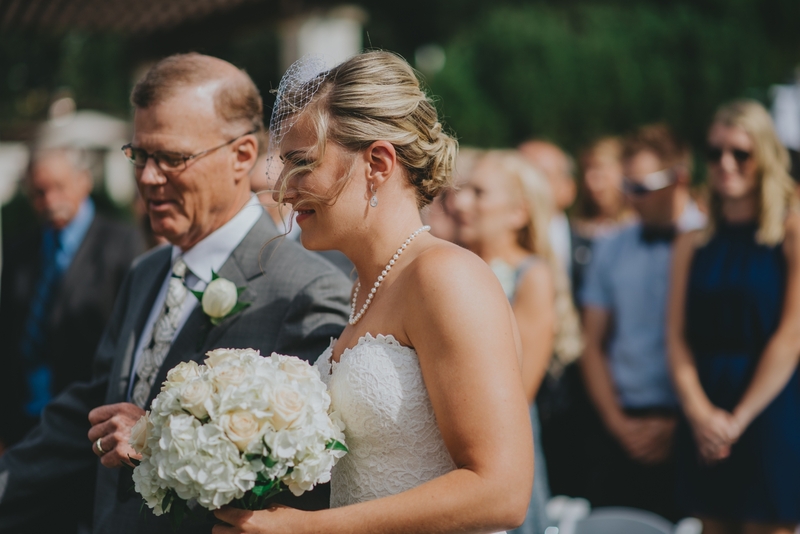 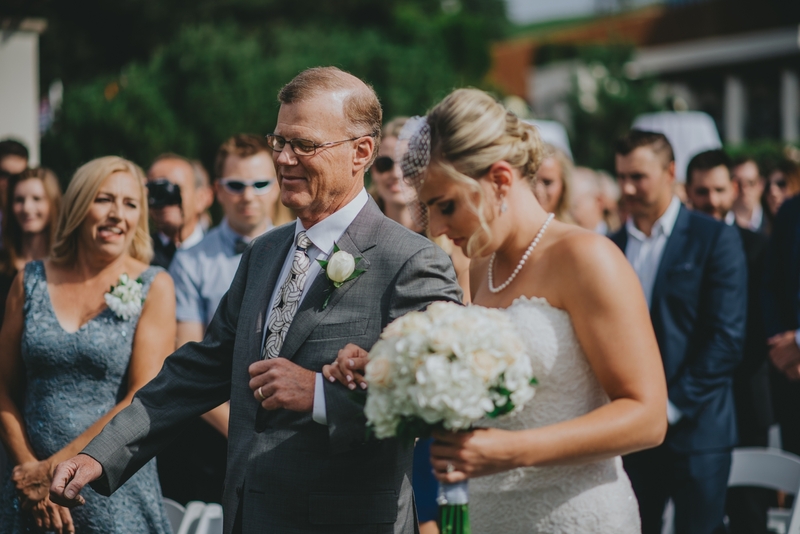 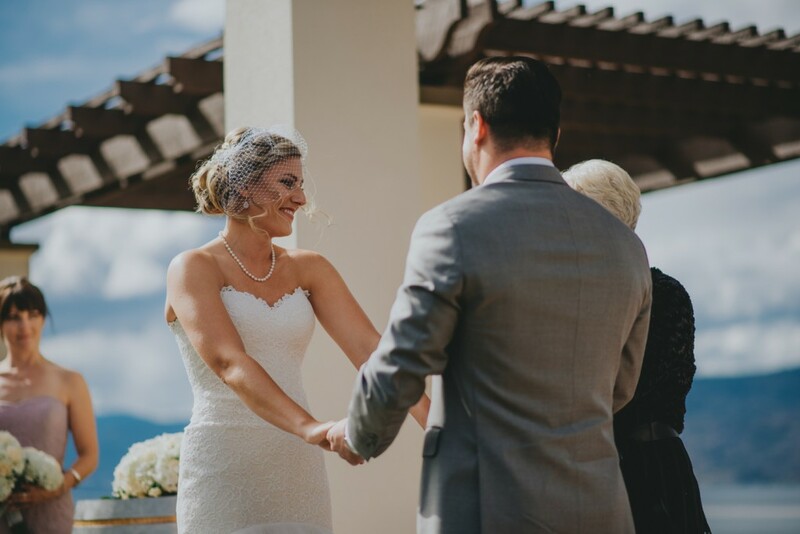 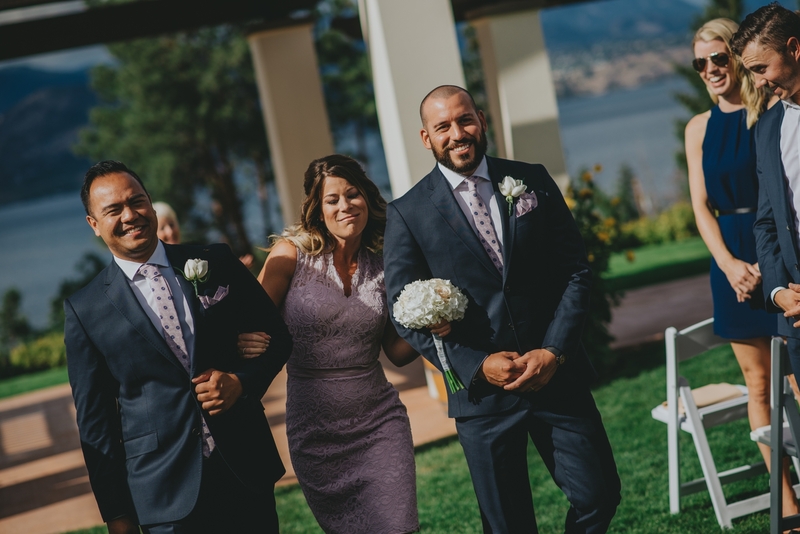 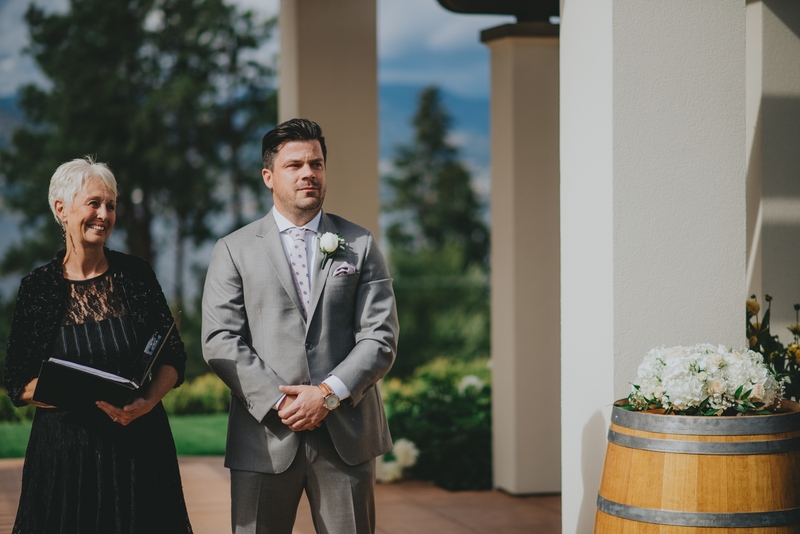 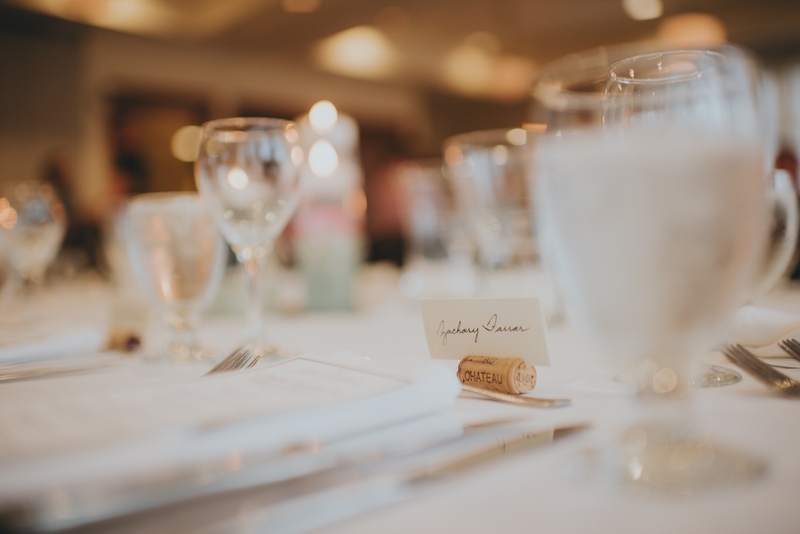 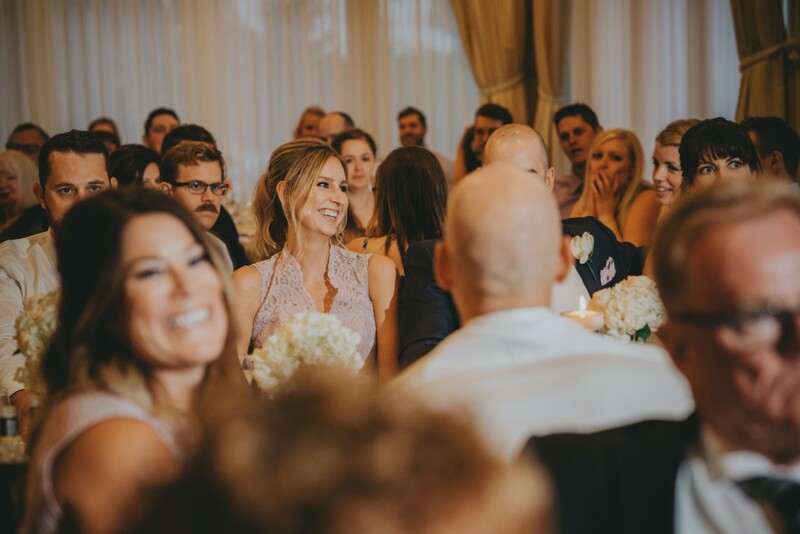 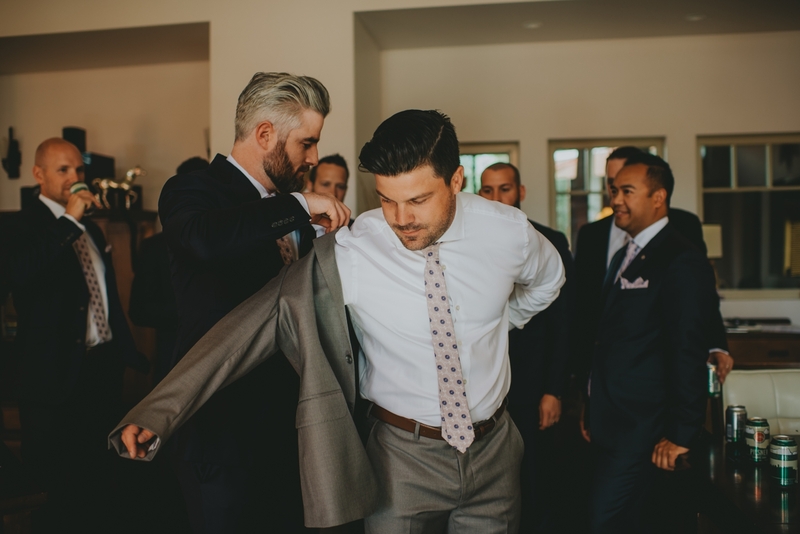 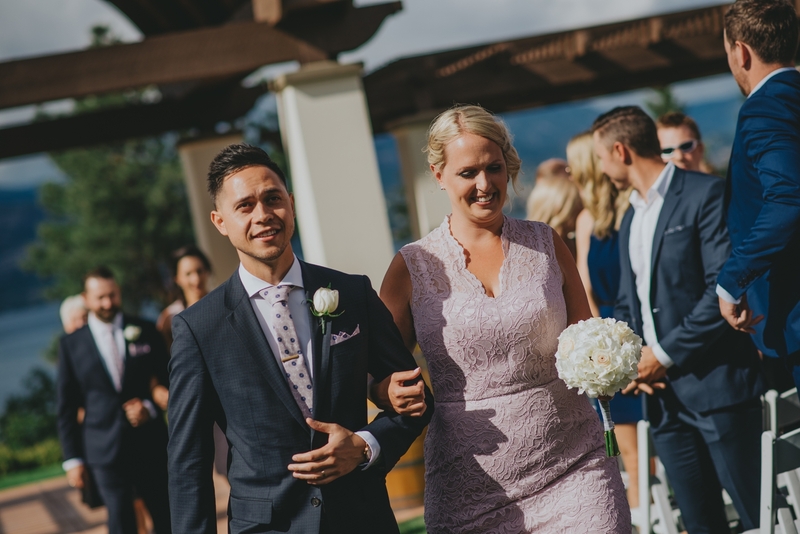 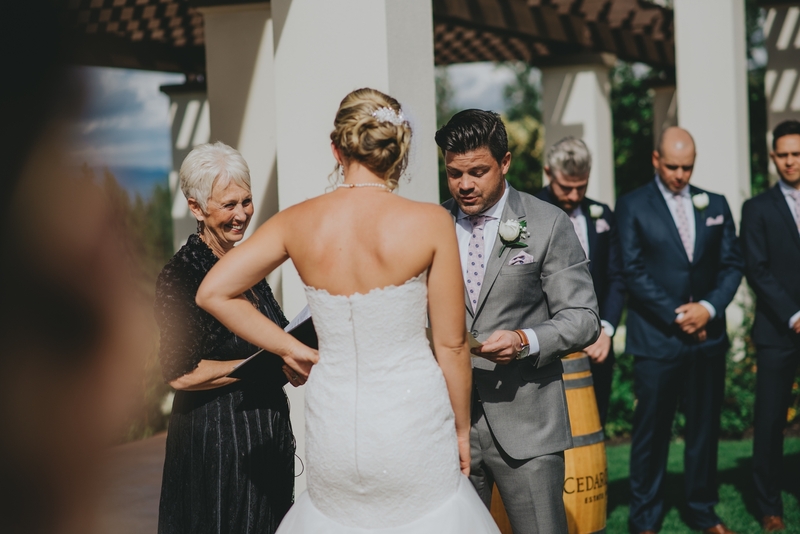 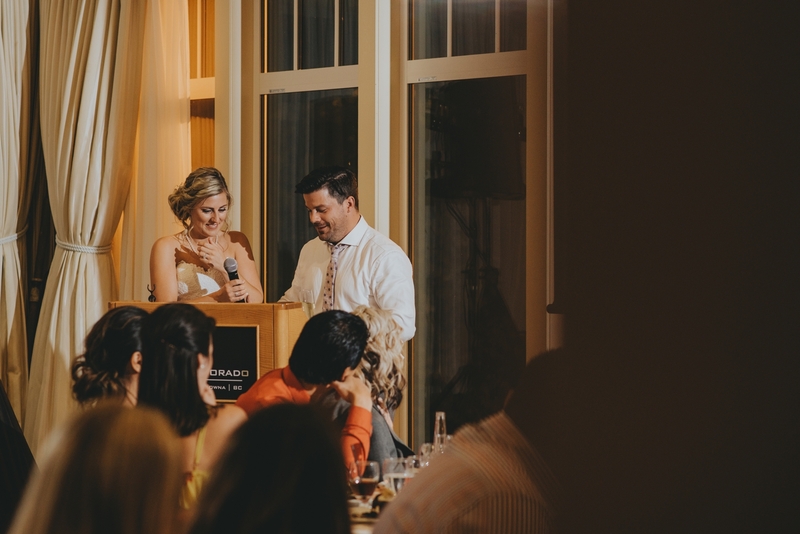 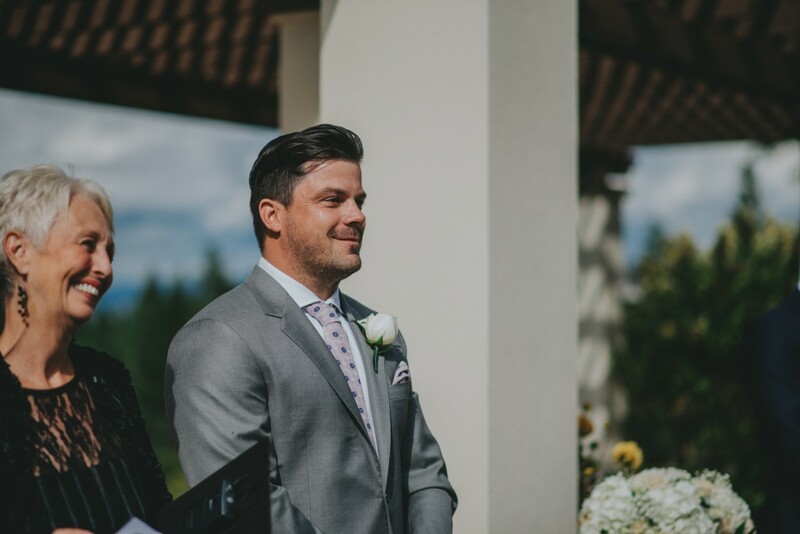 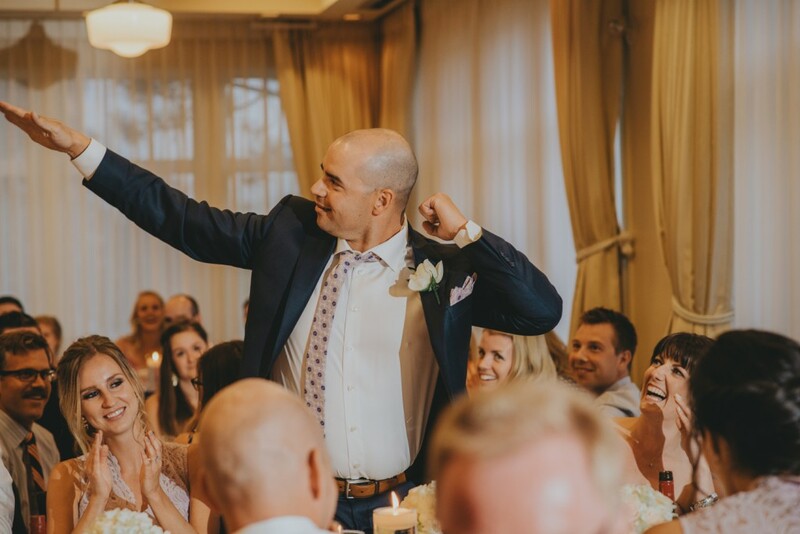 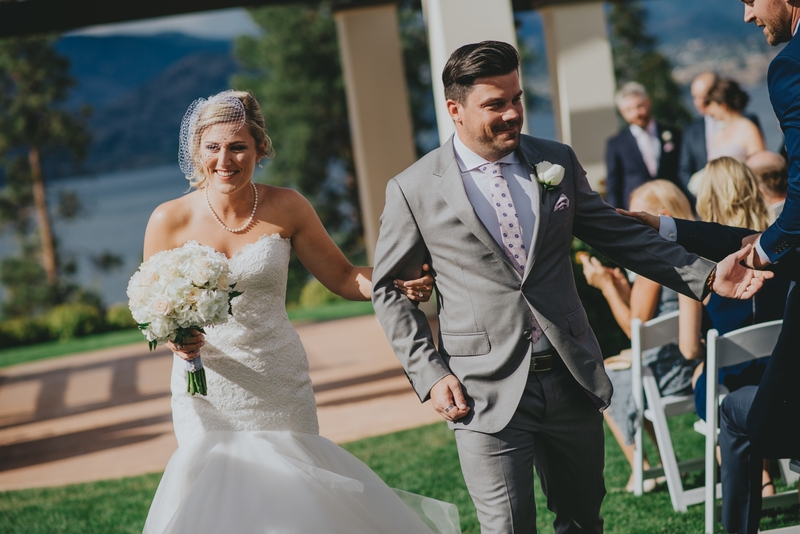 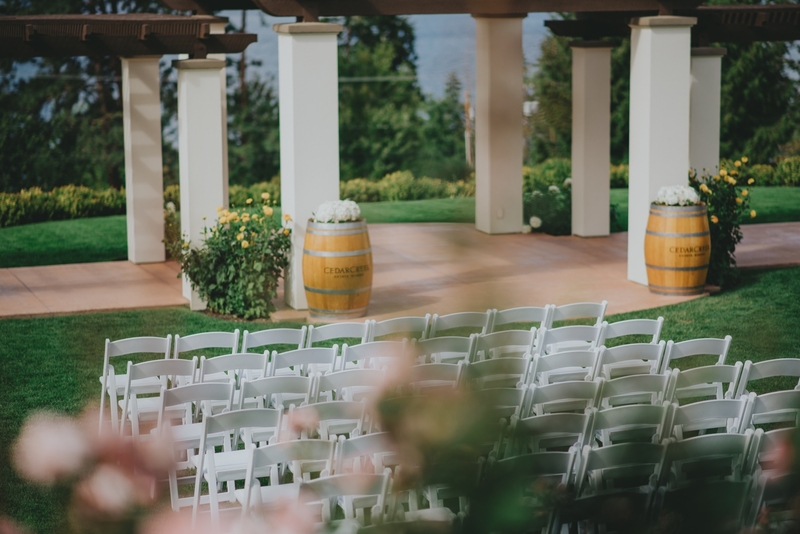 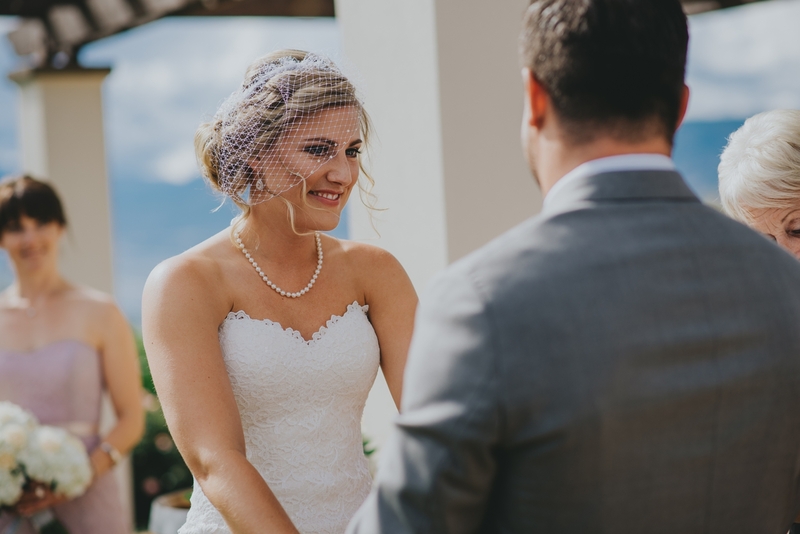 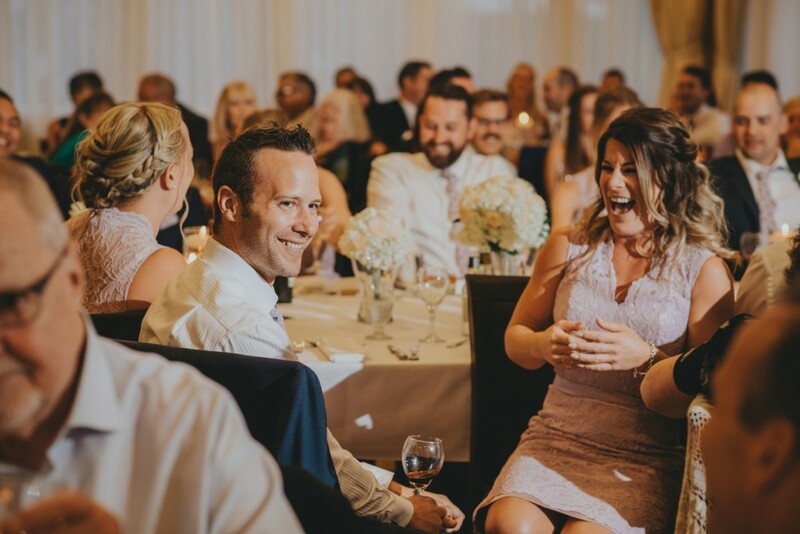 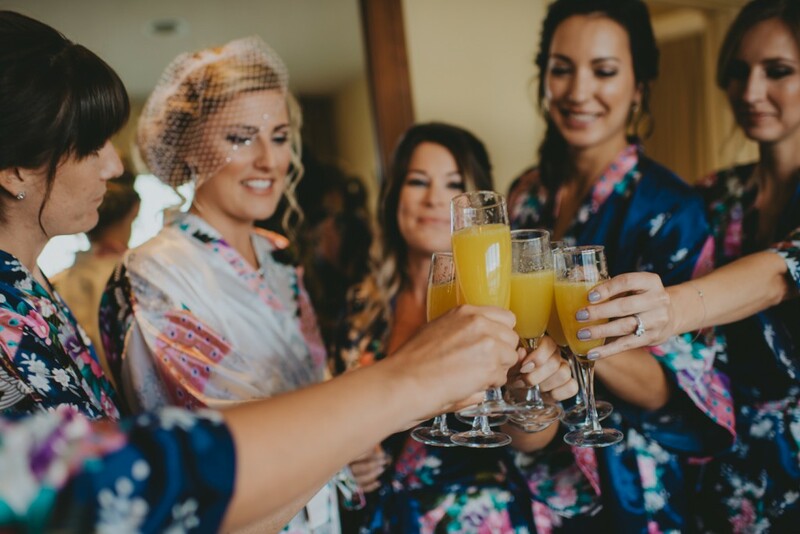 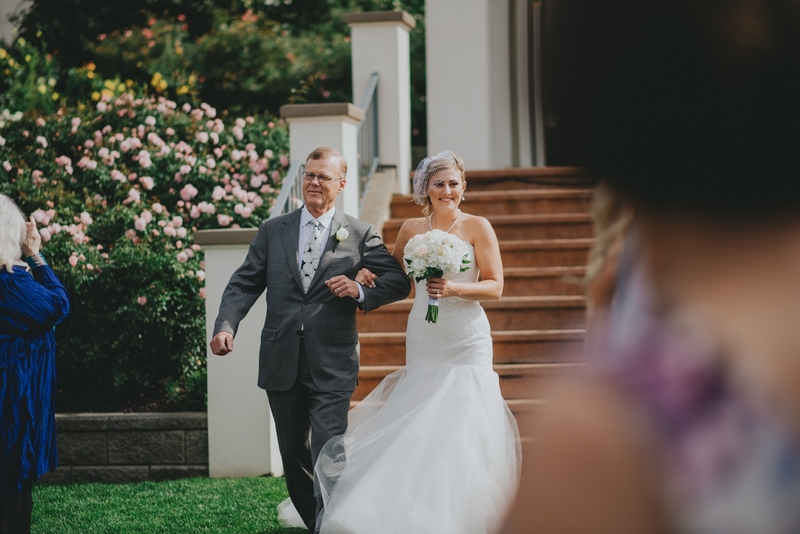 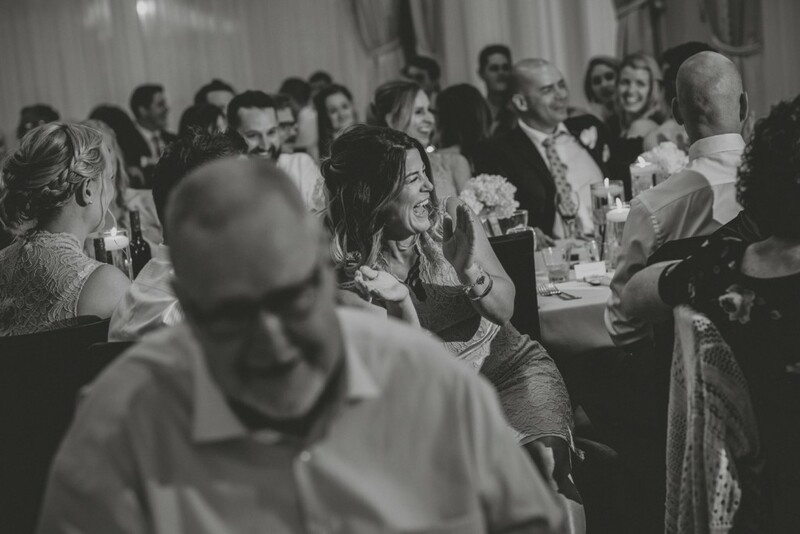 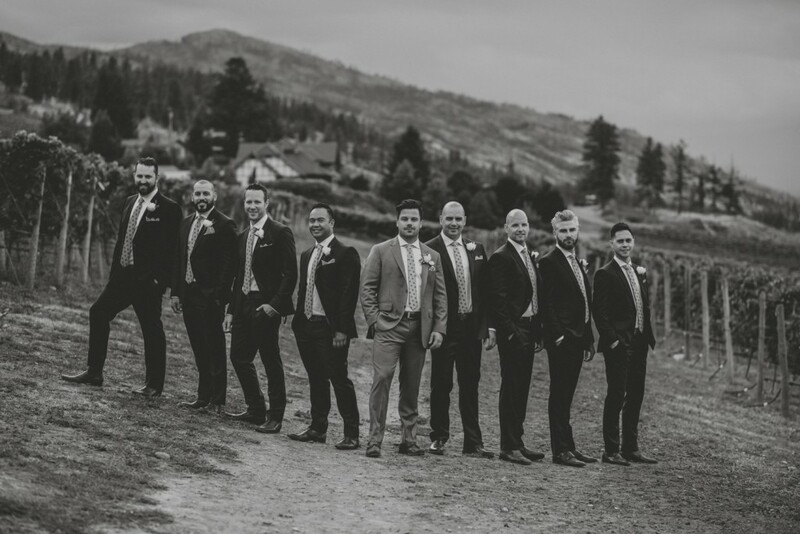 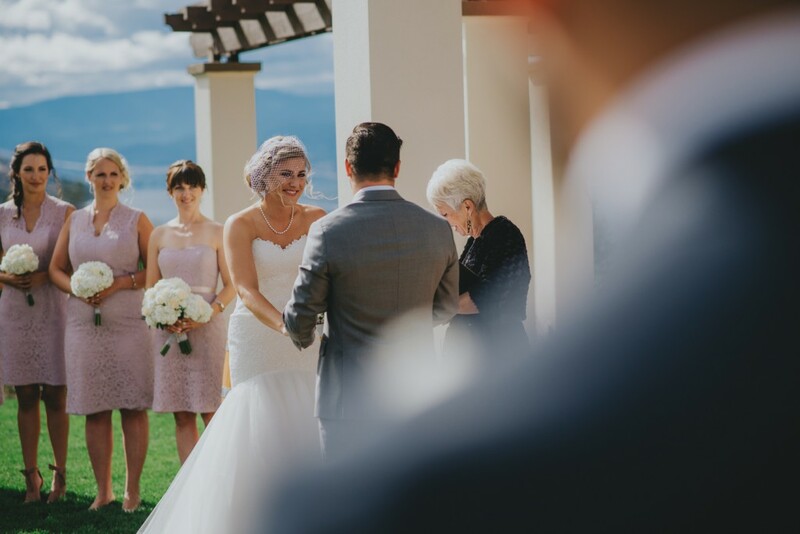 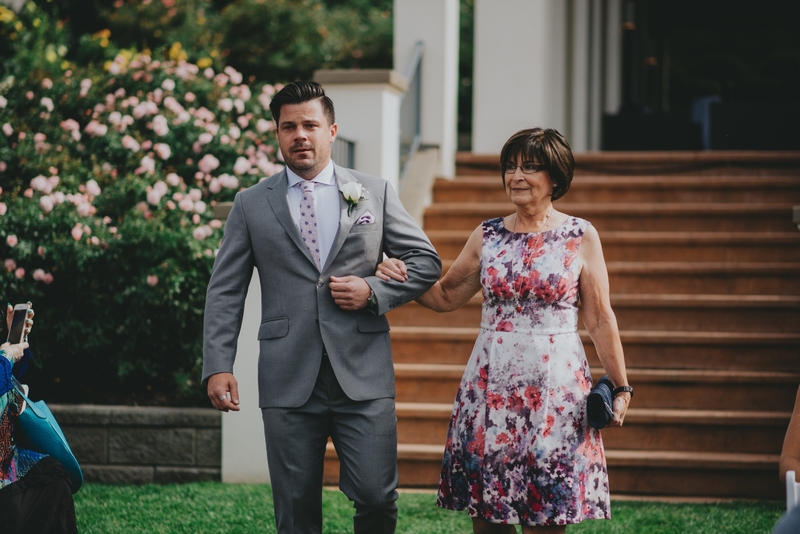 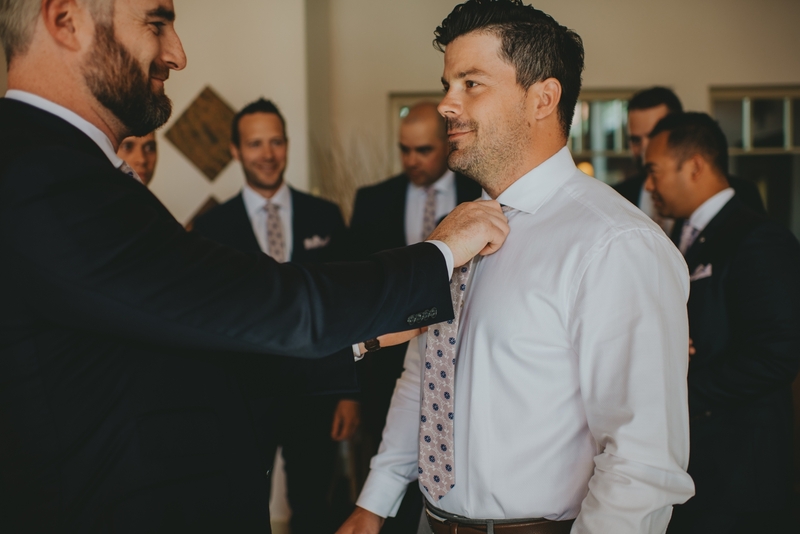 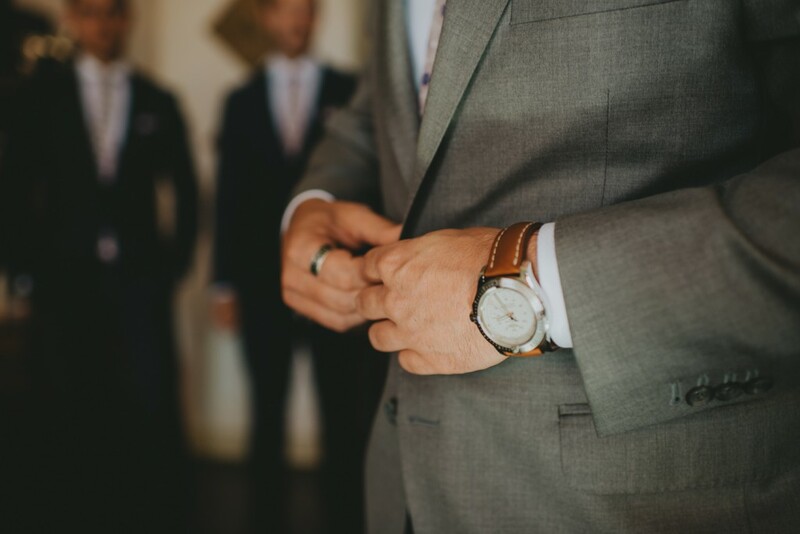 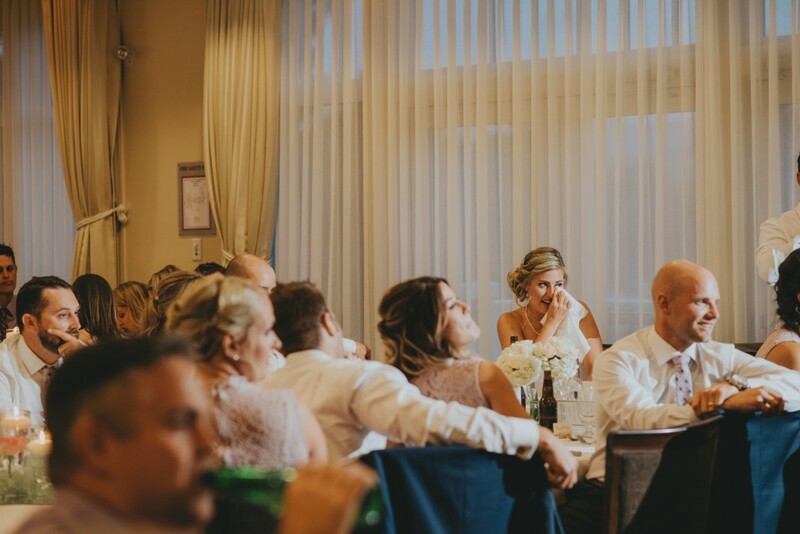 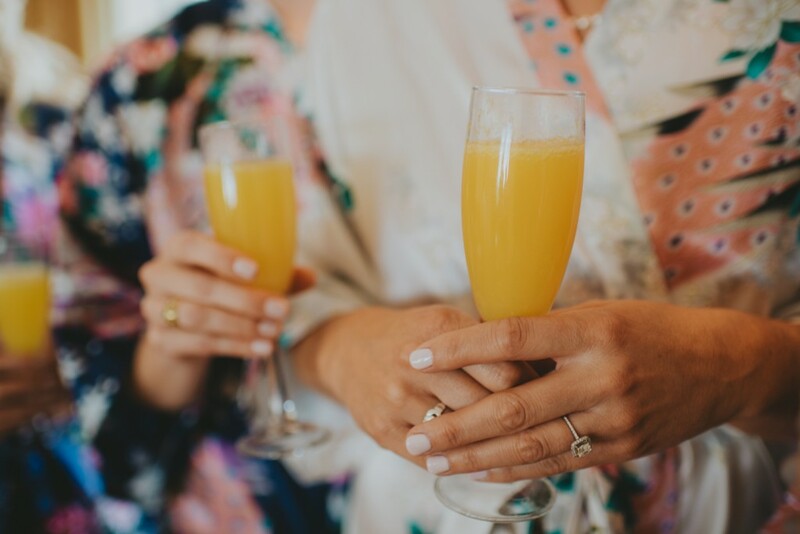 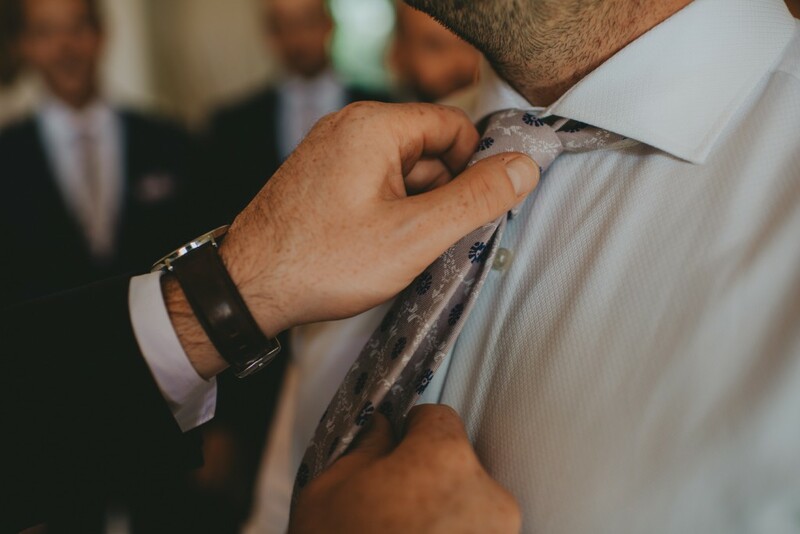 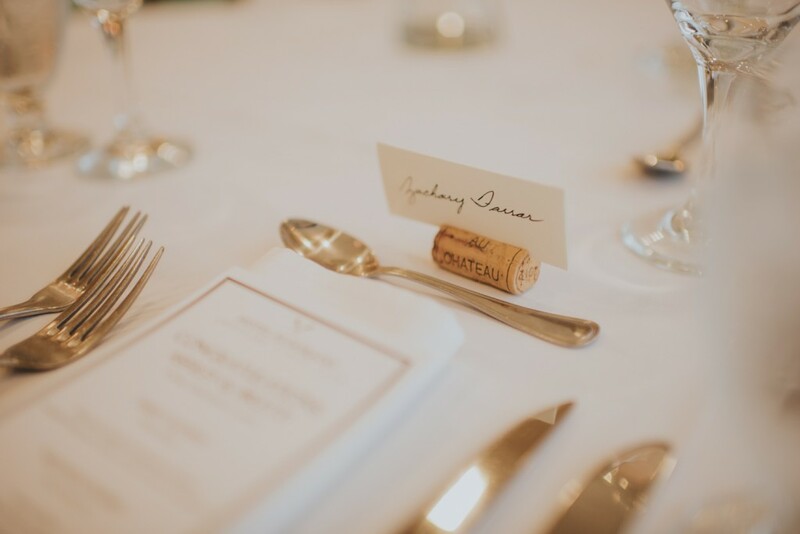 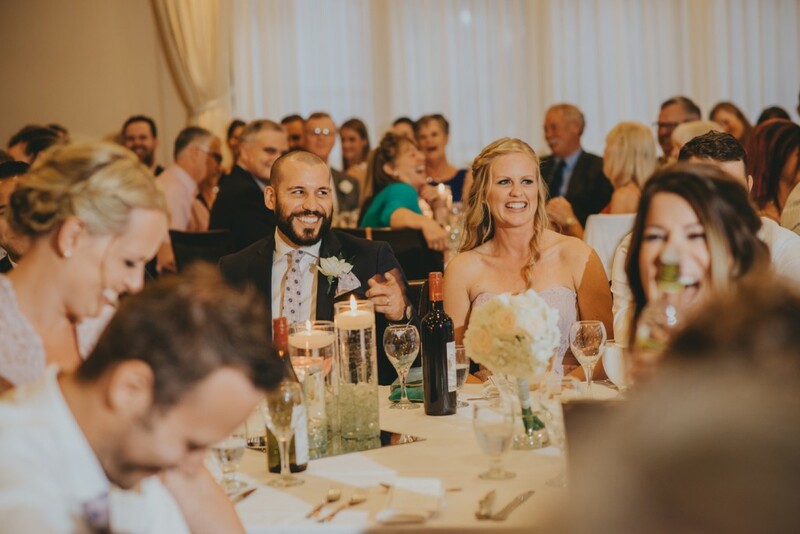 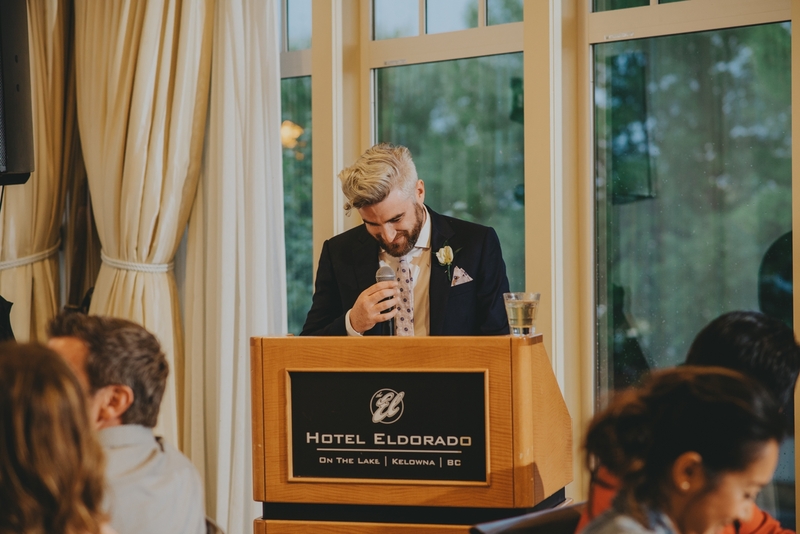 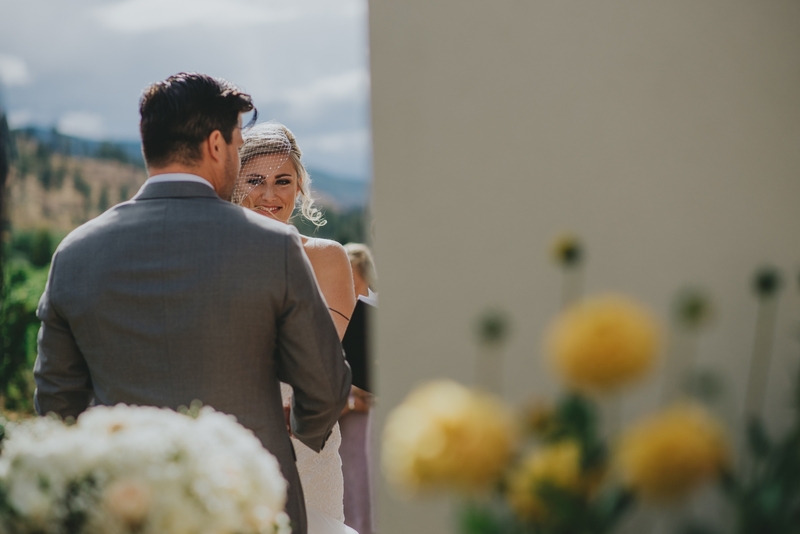 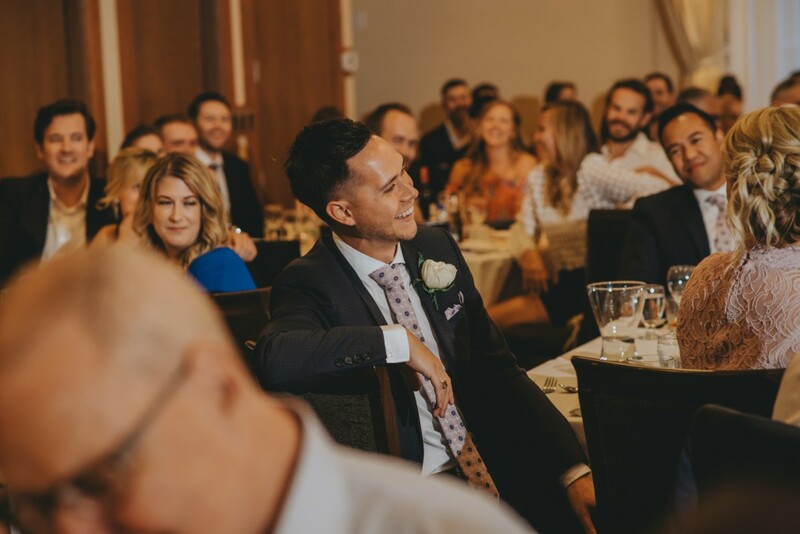 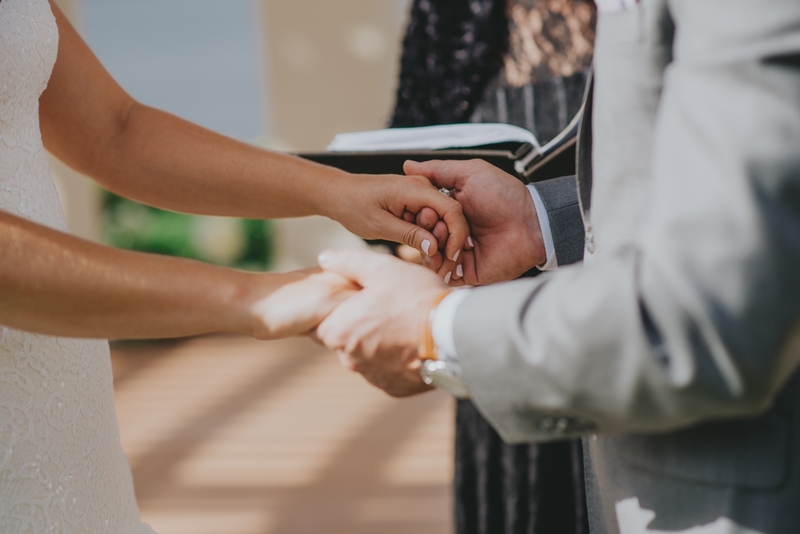 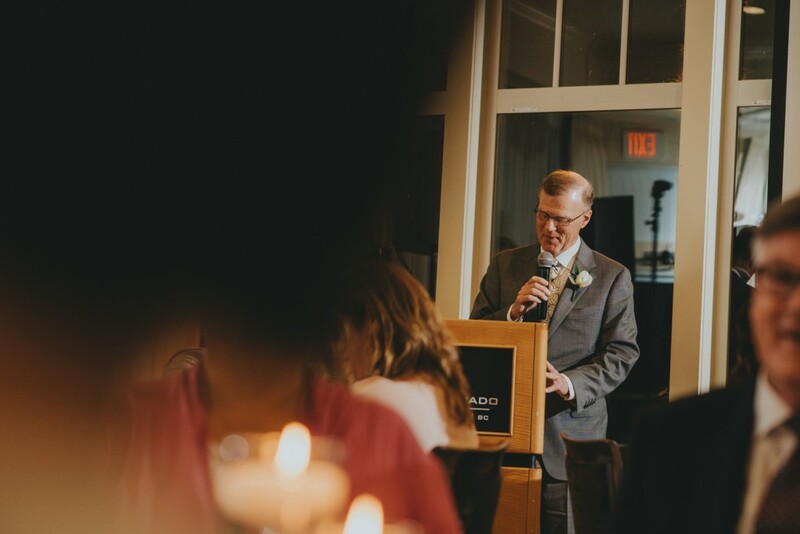 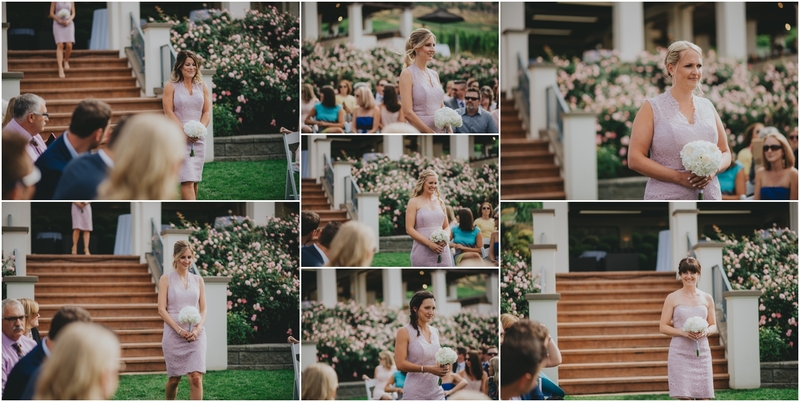 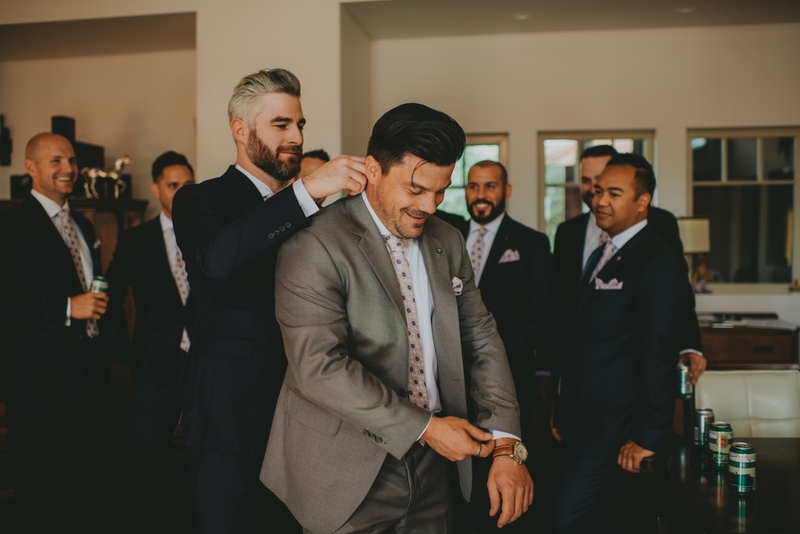 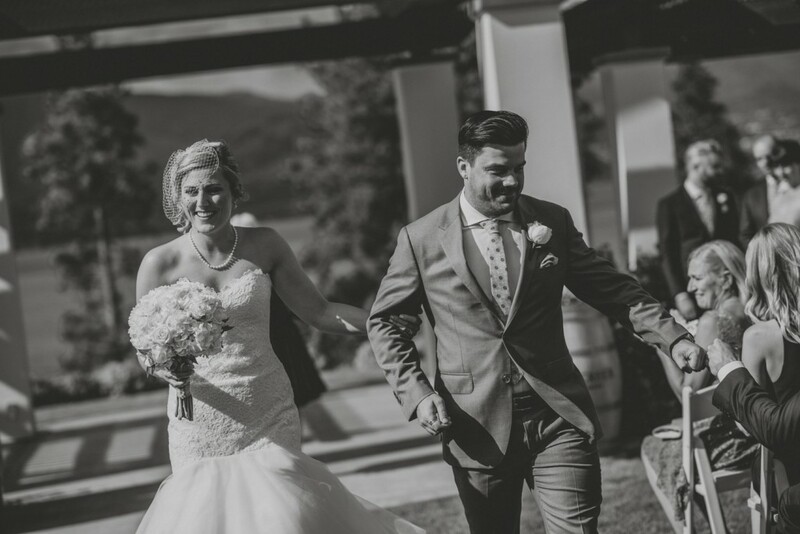 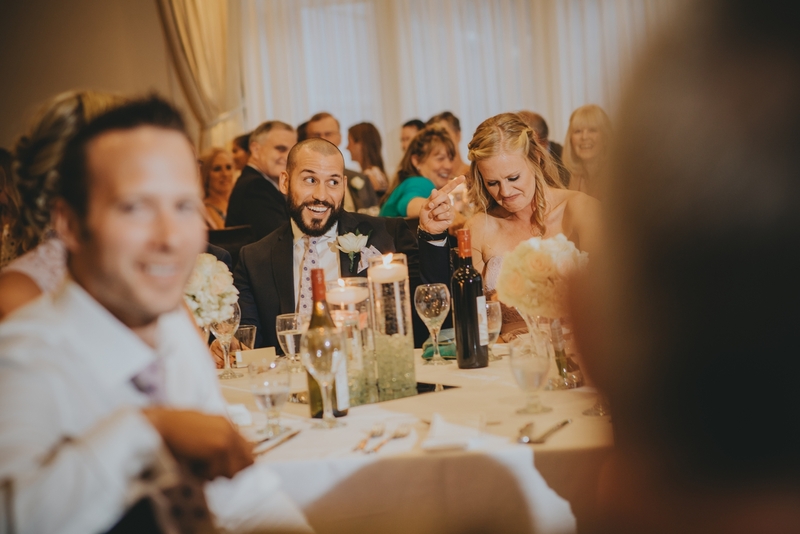 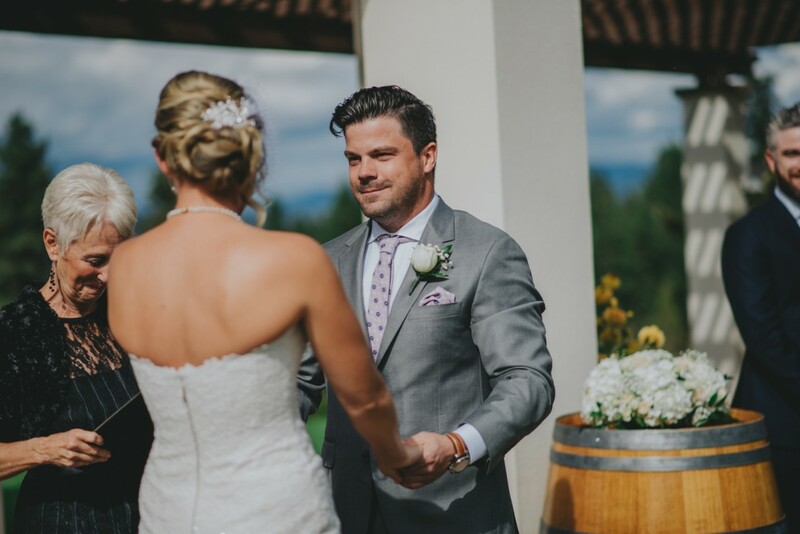 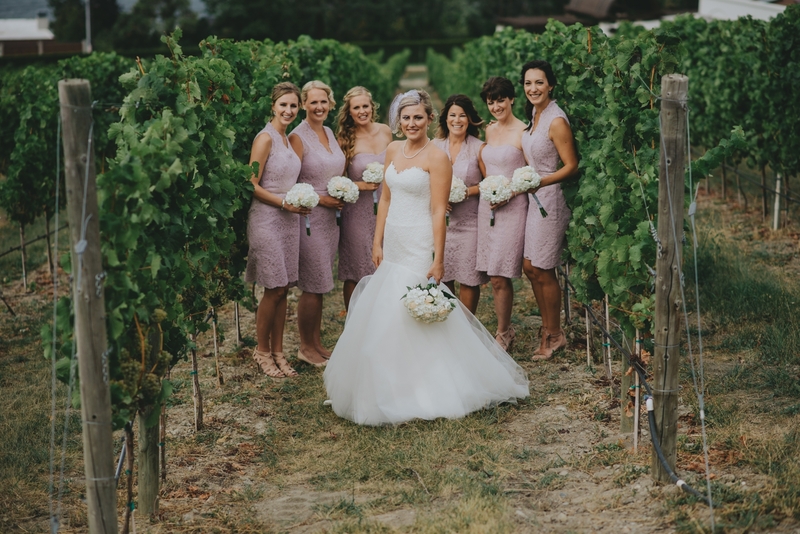 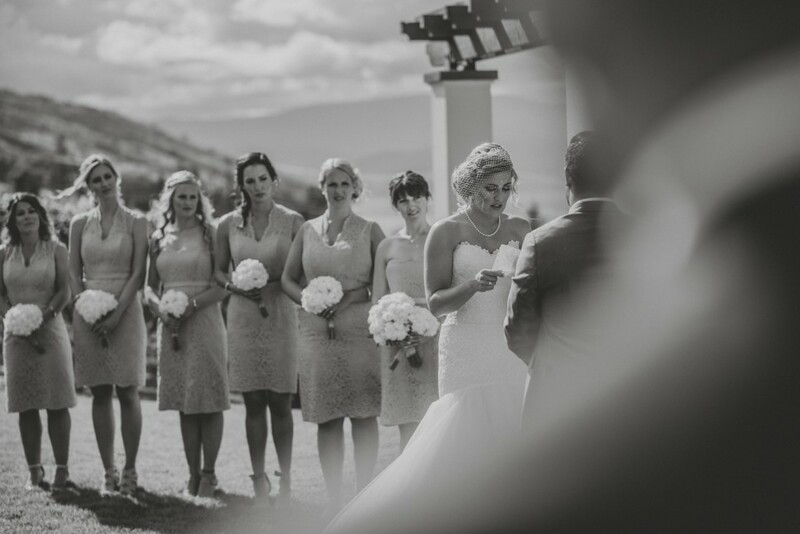 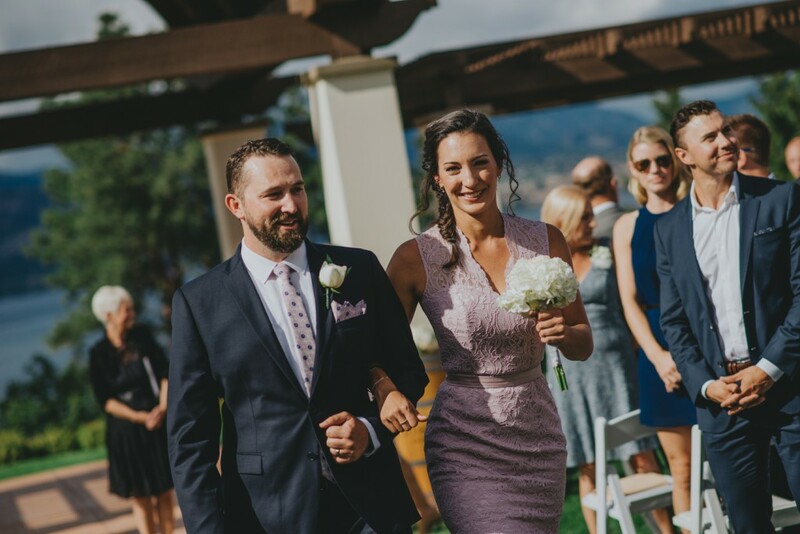 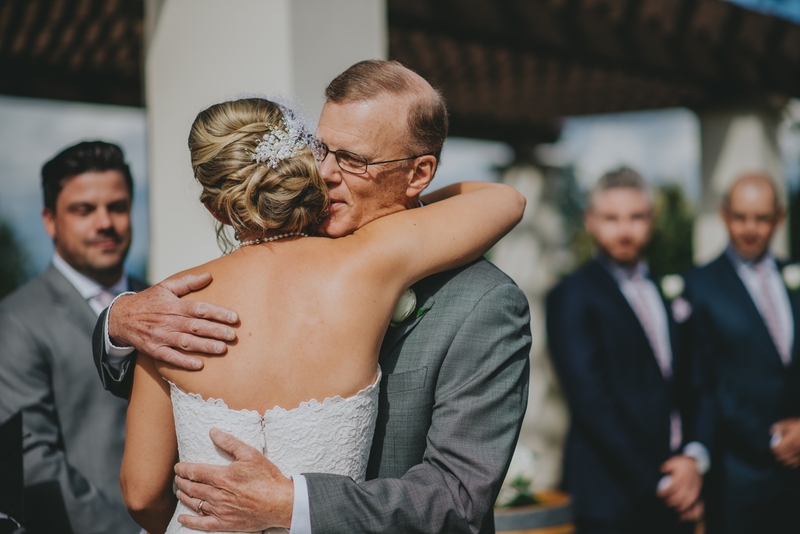 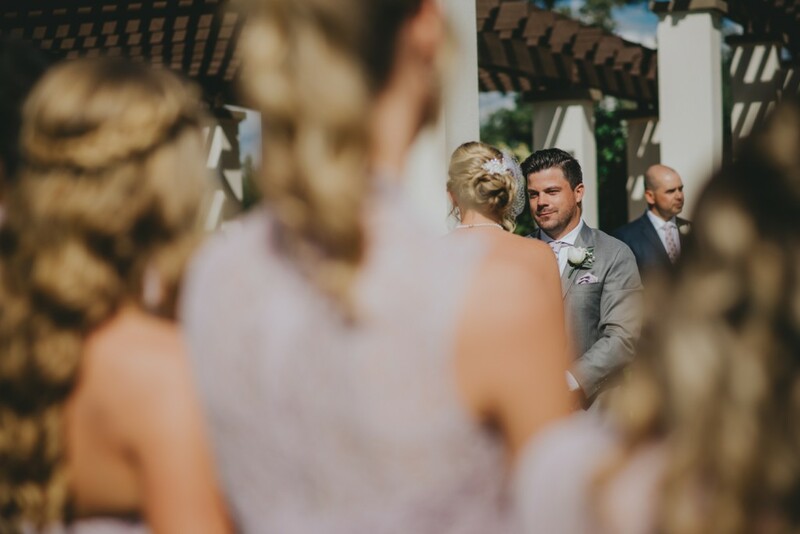 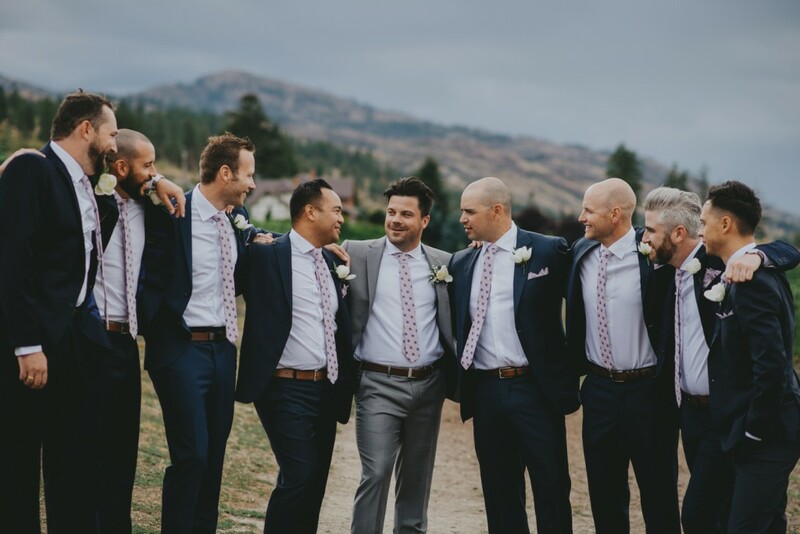 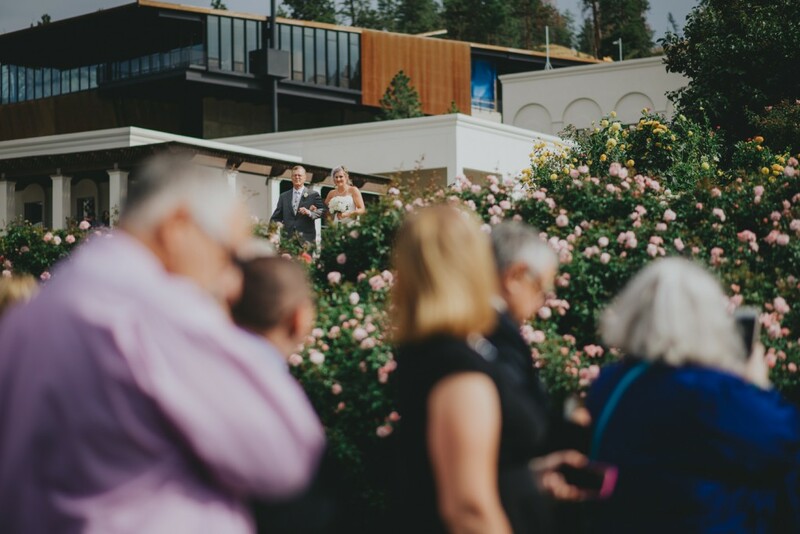 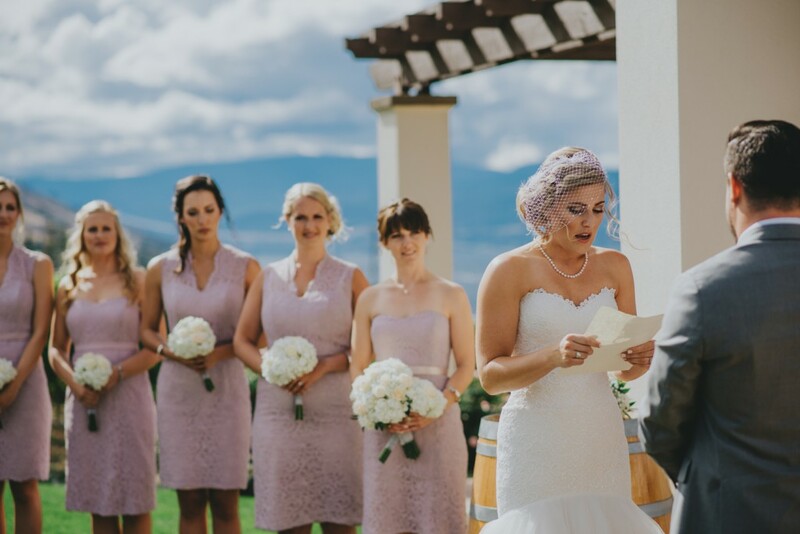 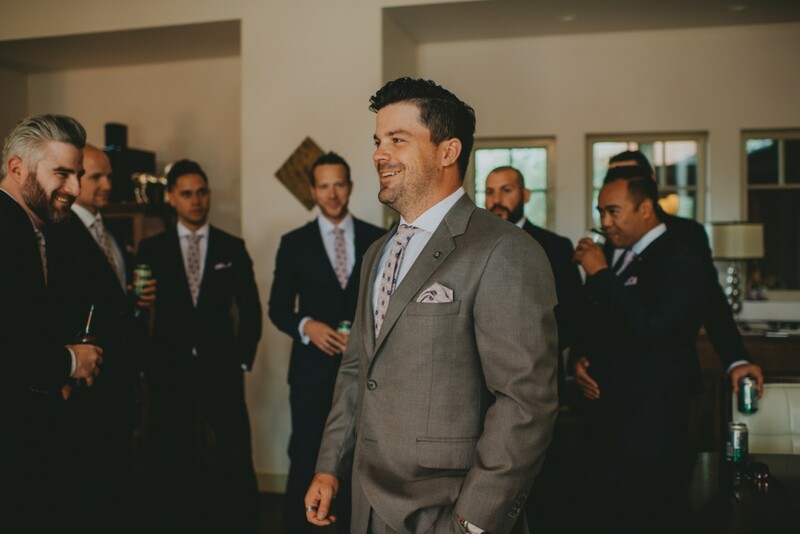 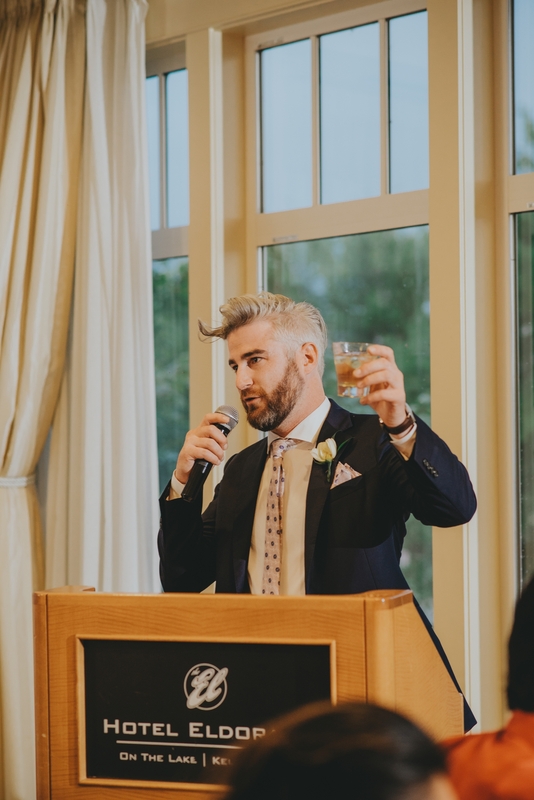 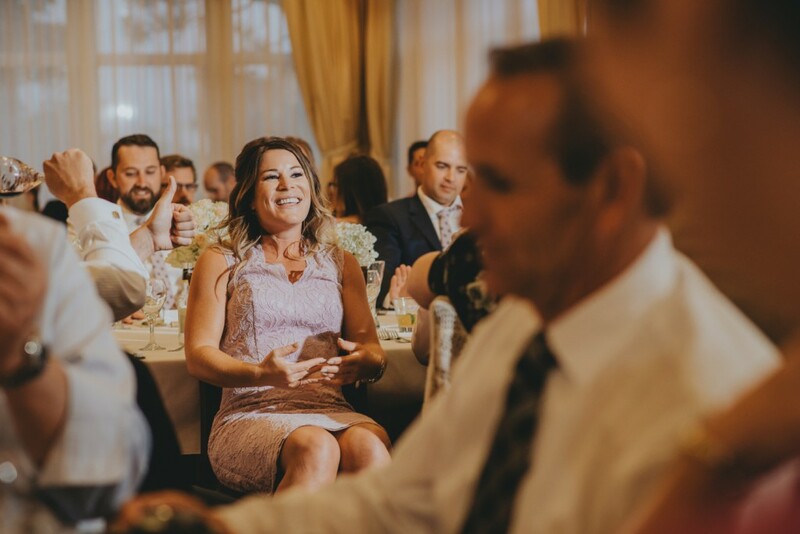 Once dresses were on, and ties were done up, everyone headed to Cedar Creek Winery for what was truly the most perfect ceremony. 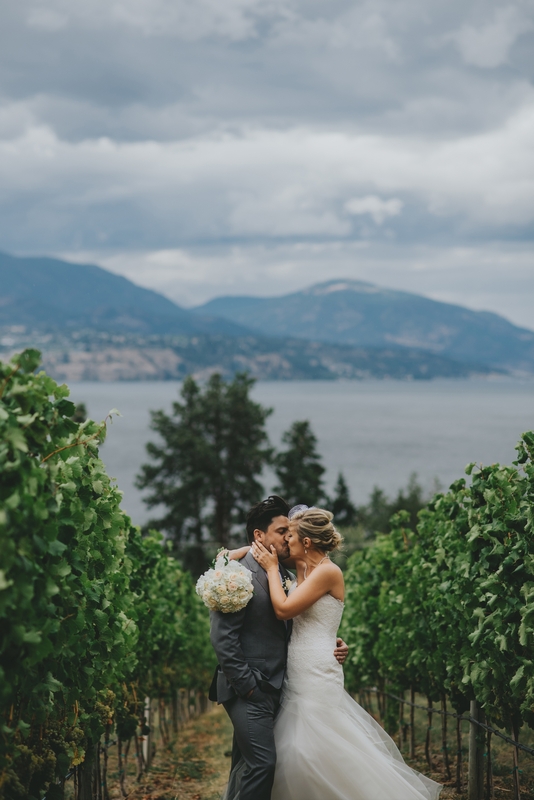 It doesn’t matter how many times I see this location I am always stunned. 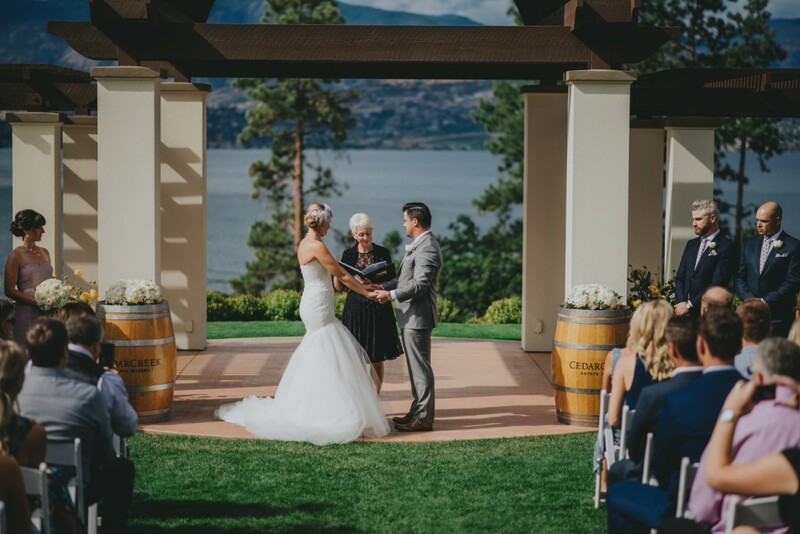 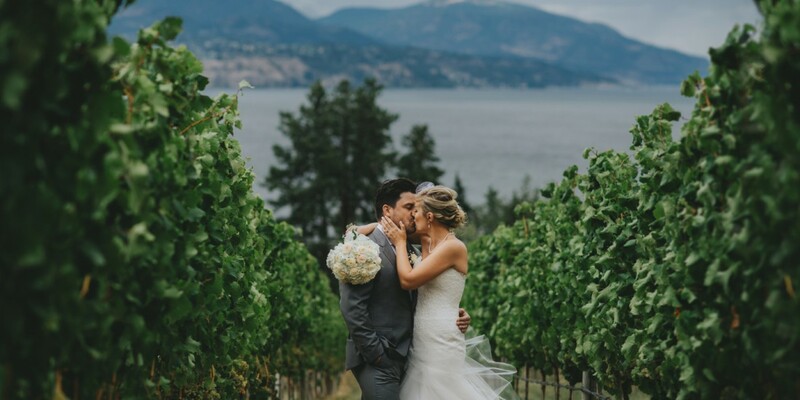 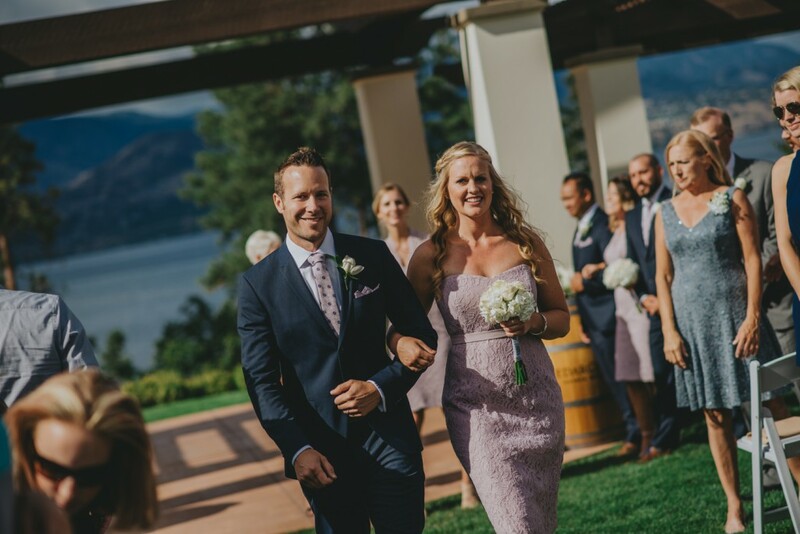 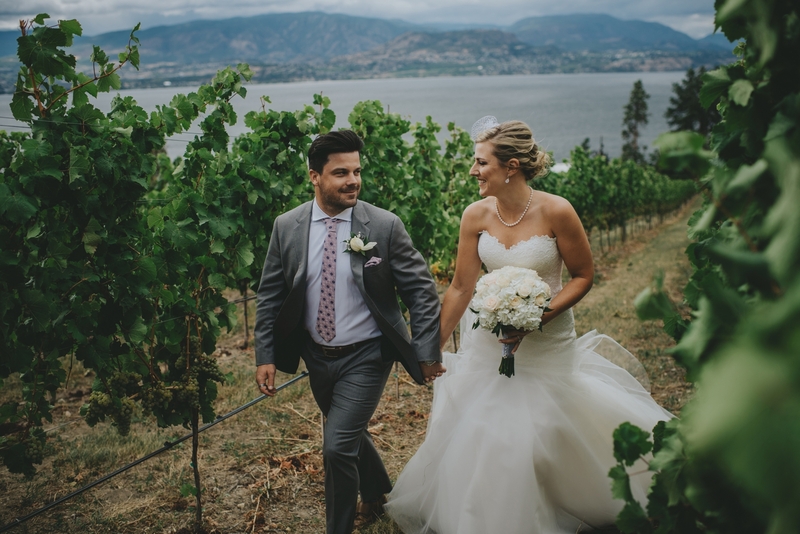 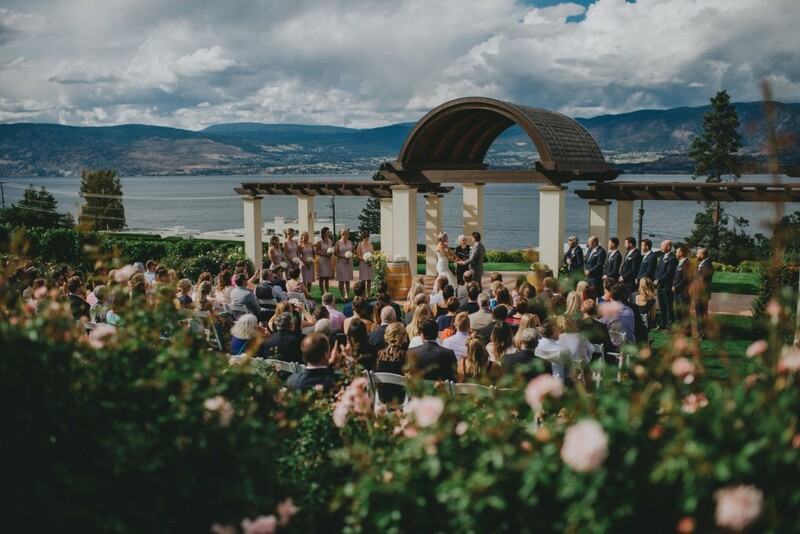 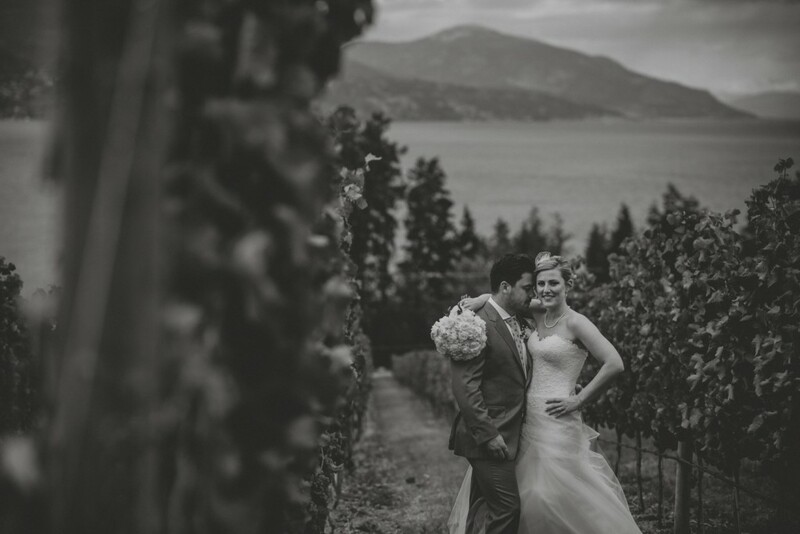 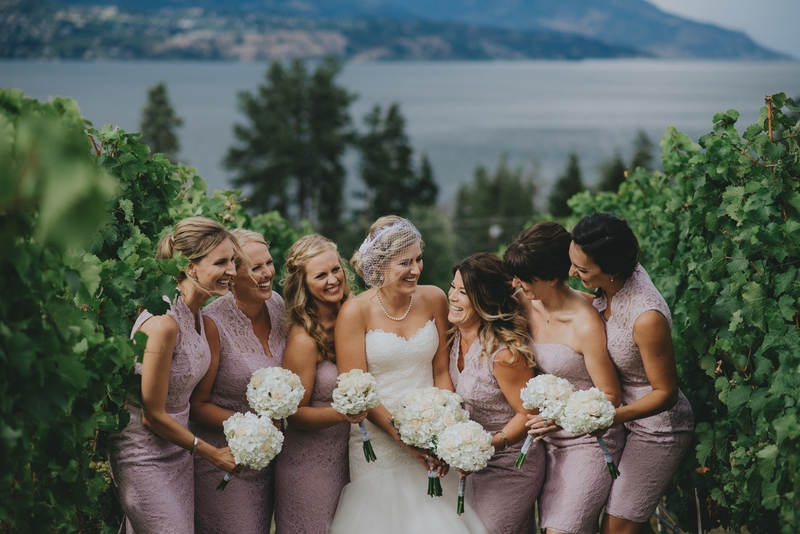 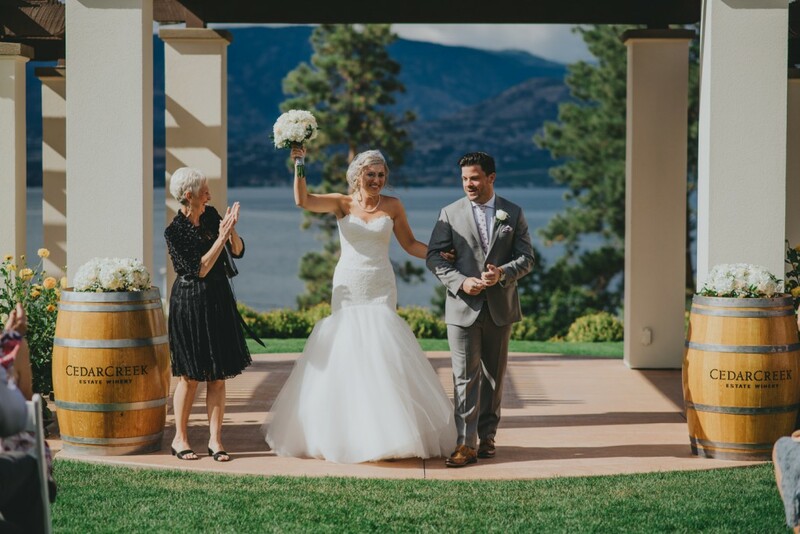 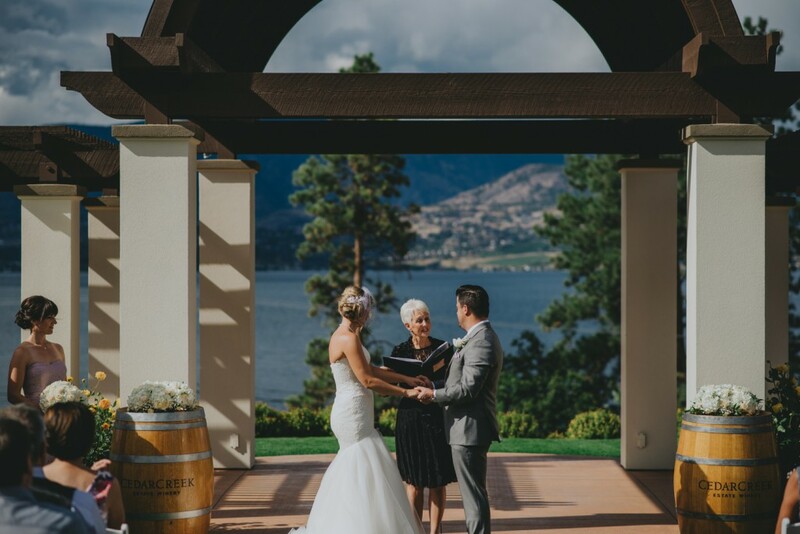 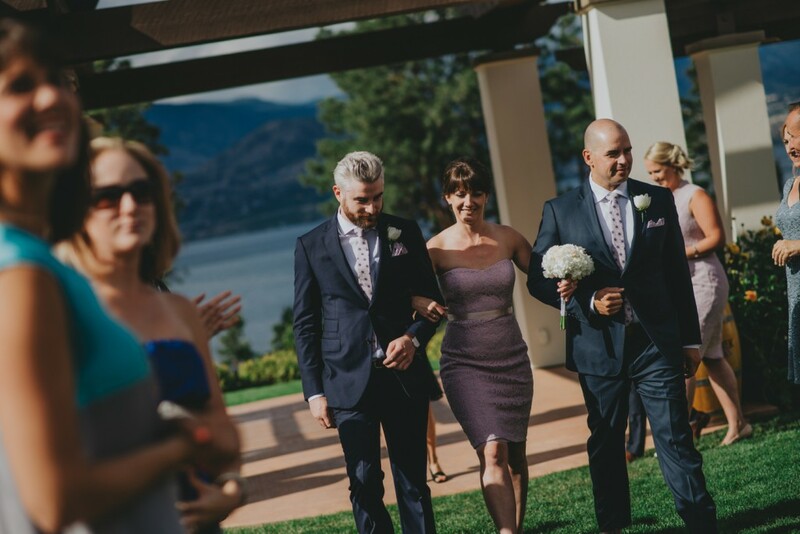 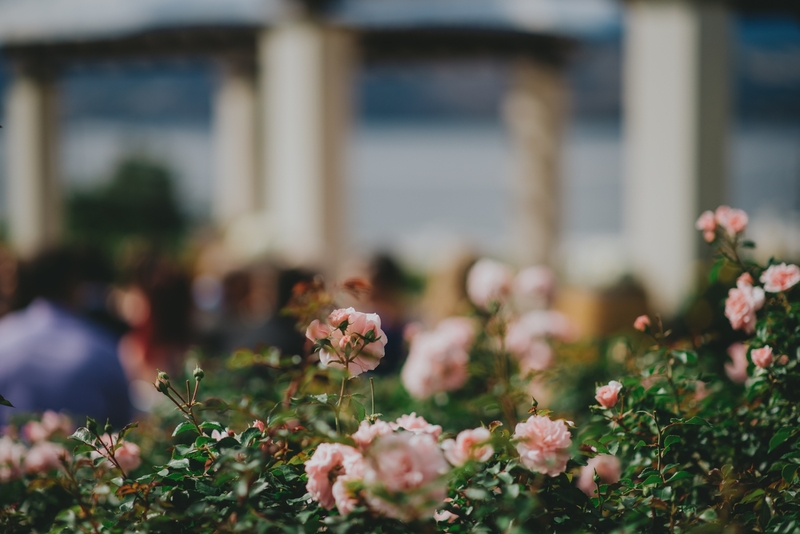 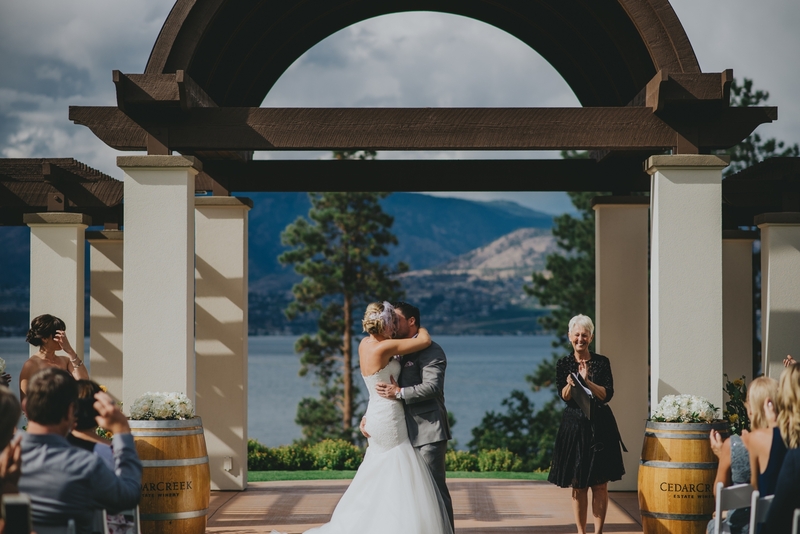 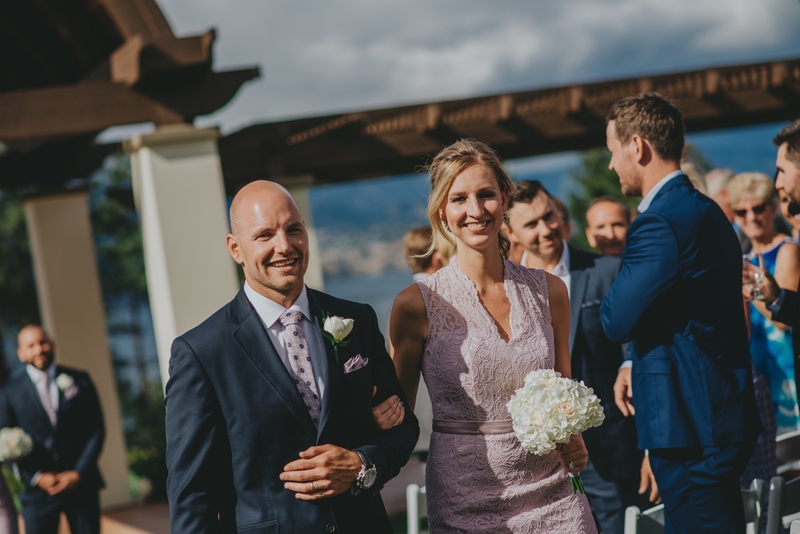 Surrounded by flowers and a vineyard on one side and the Okanagan lake on another. 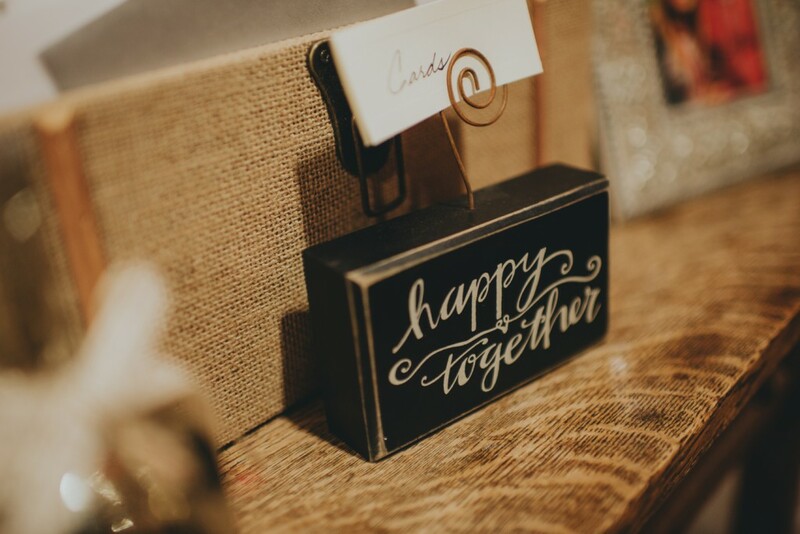 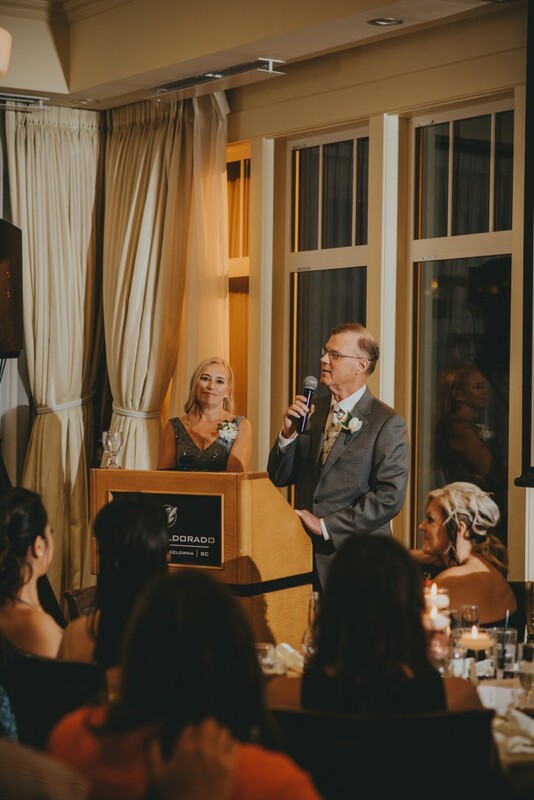 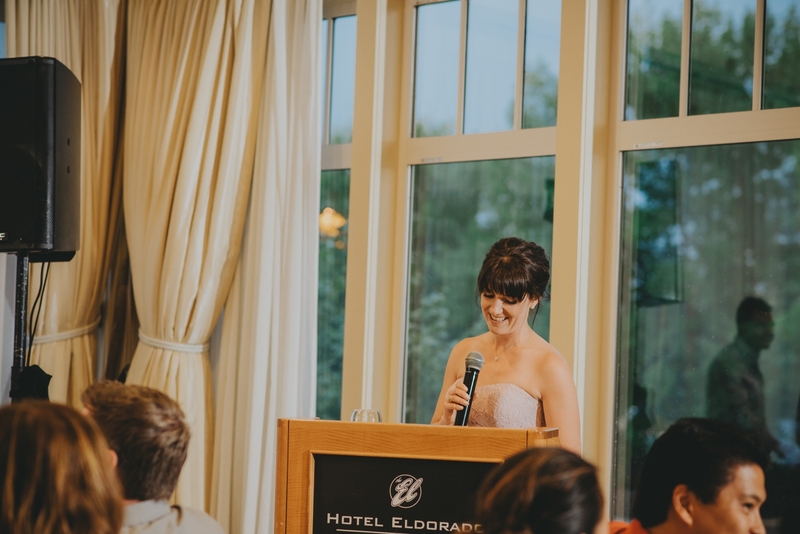 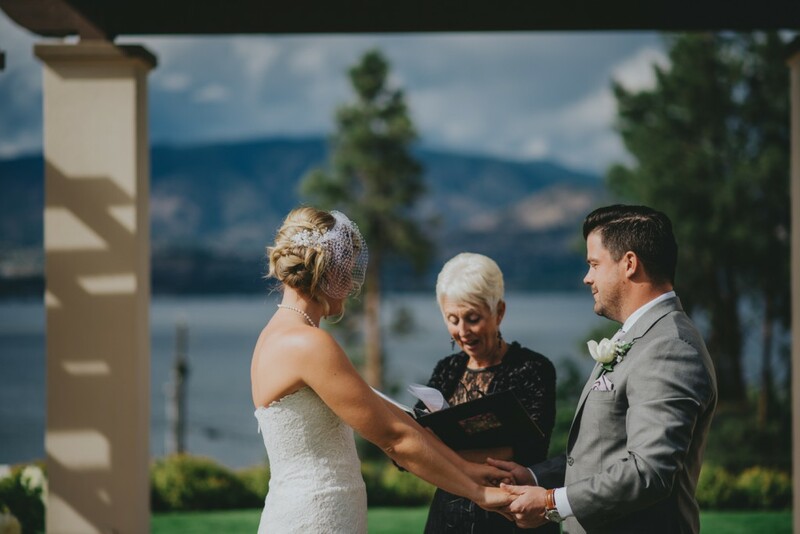 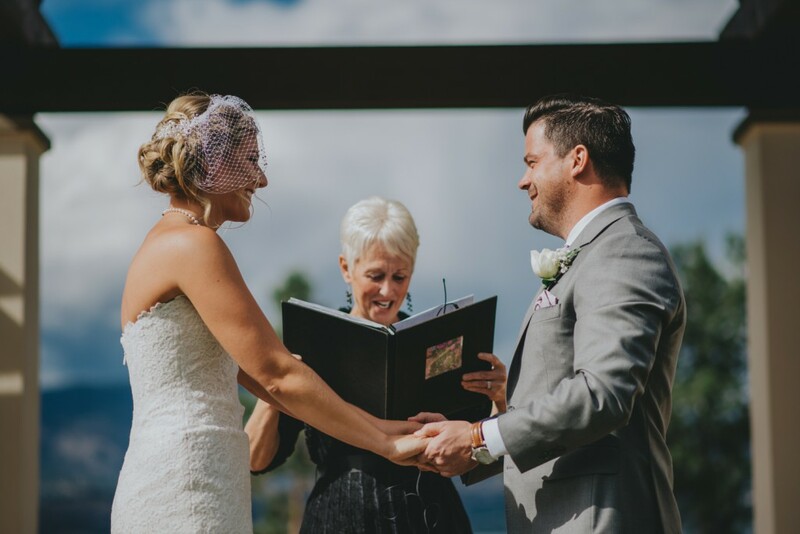 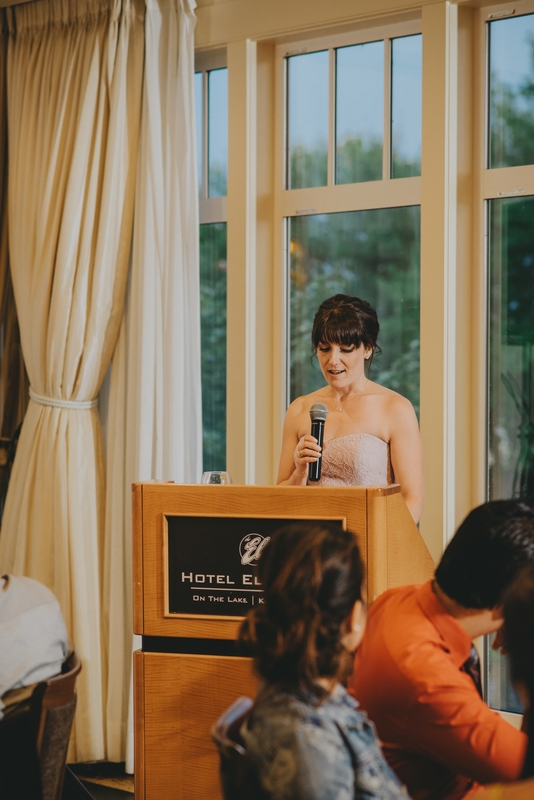 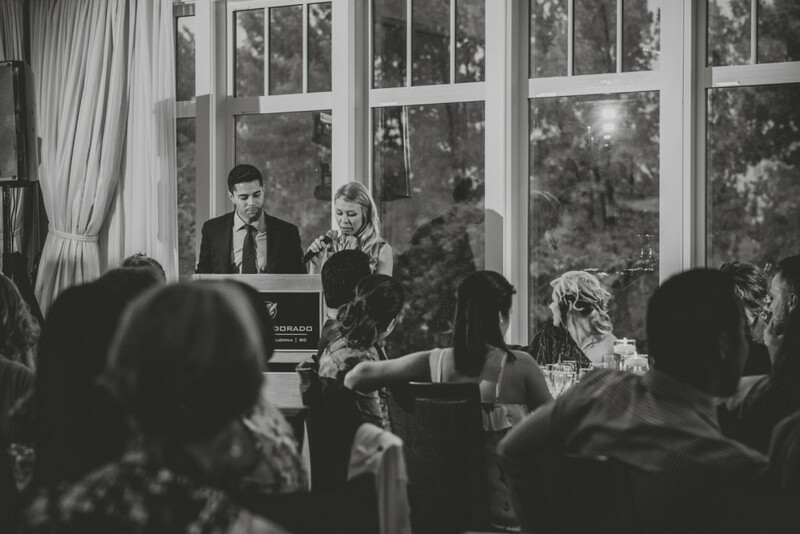 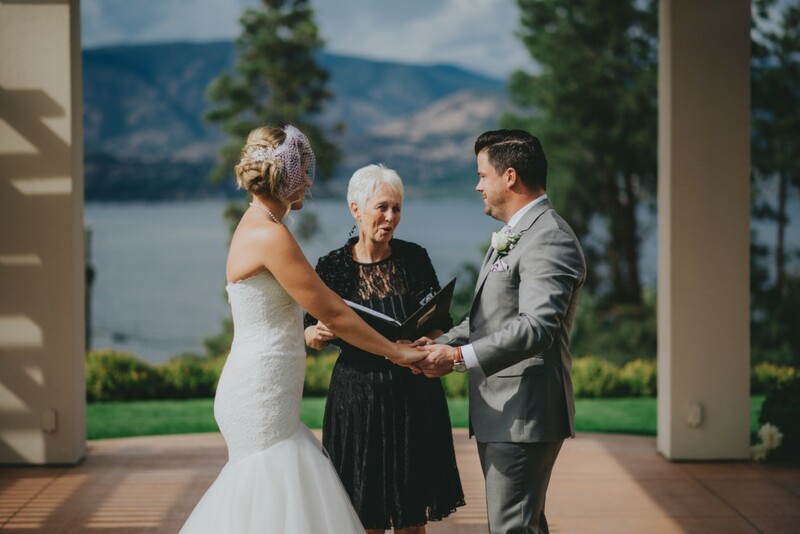 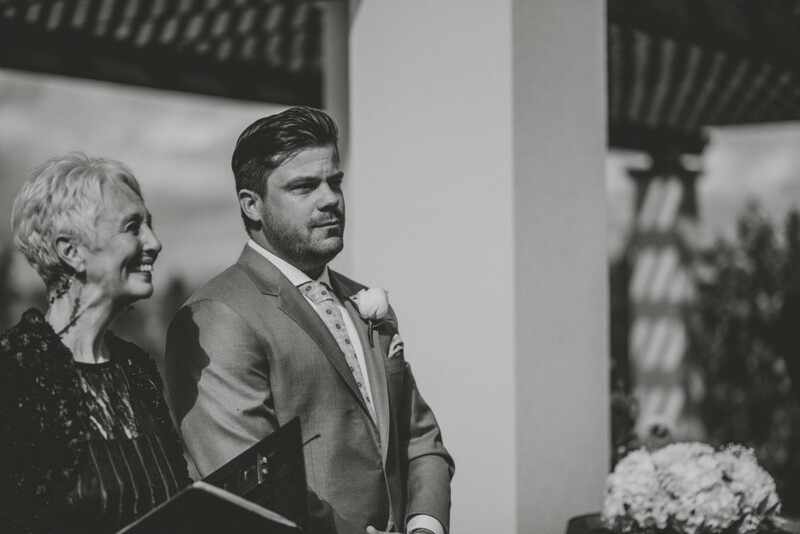 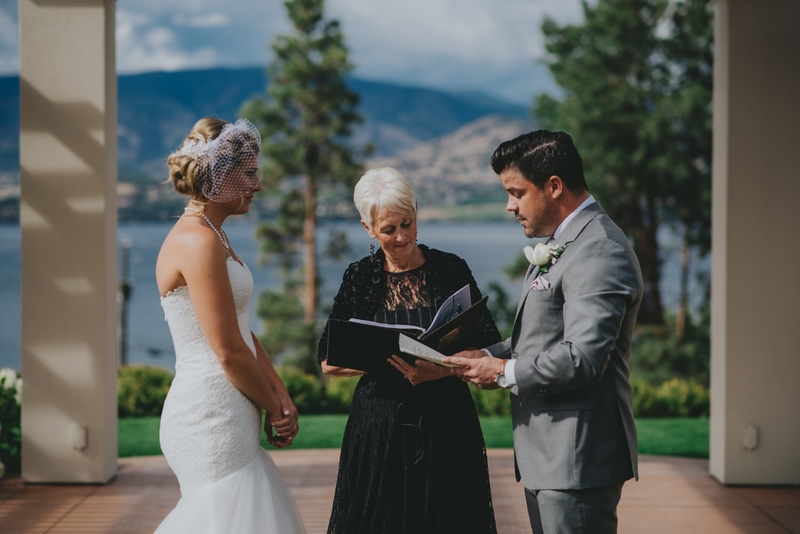 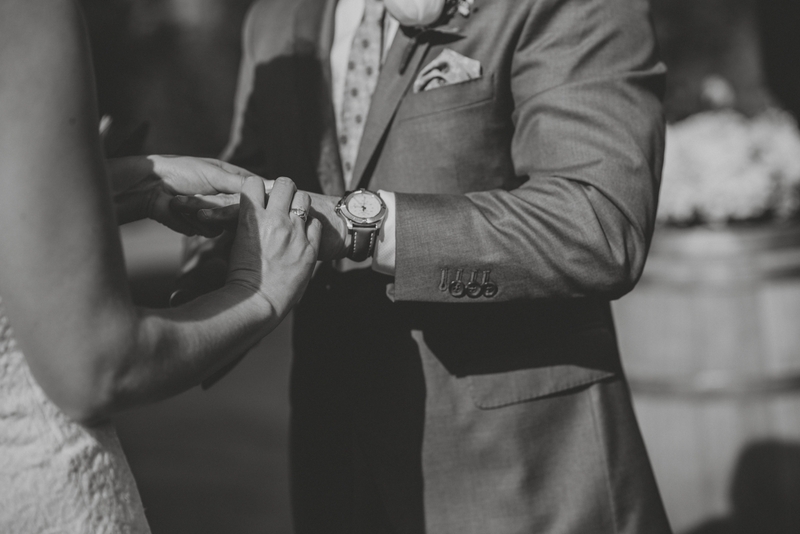 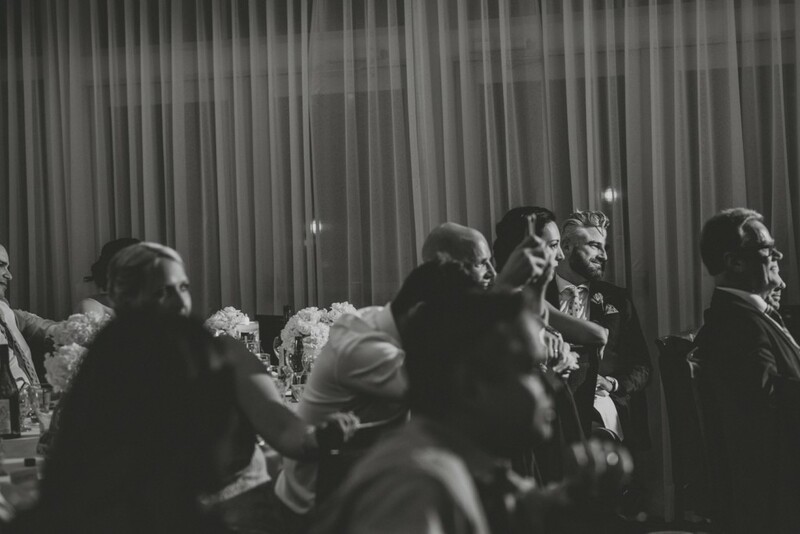 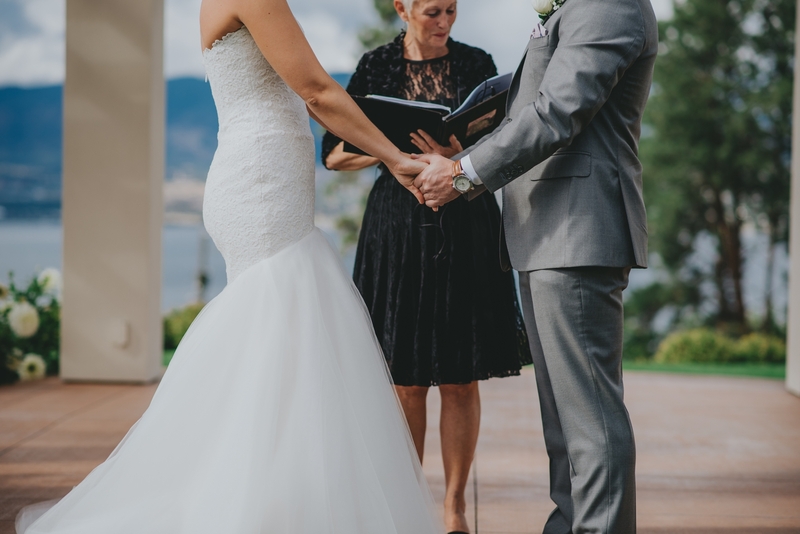 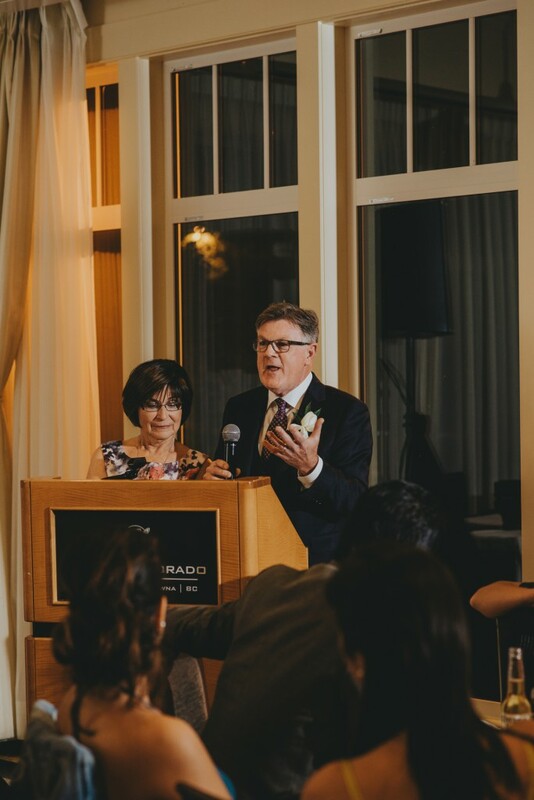 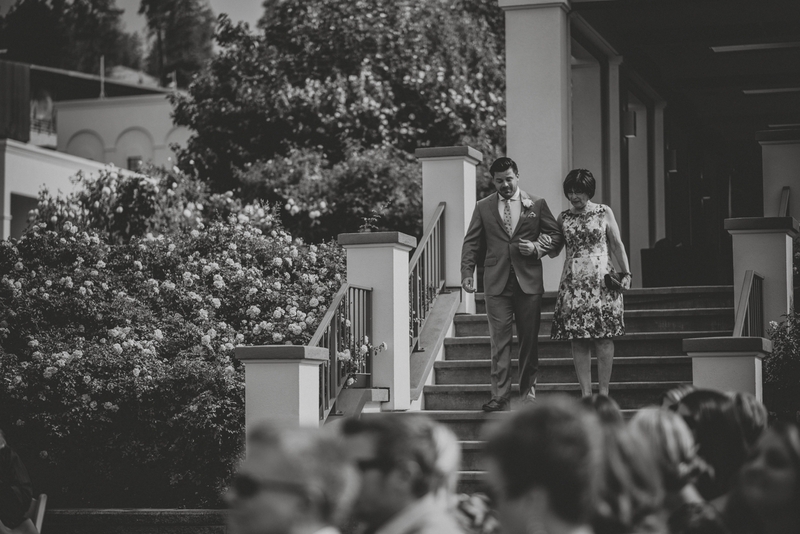 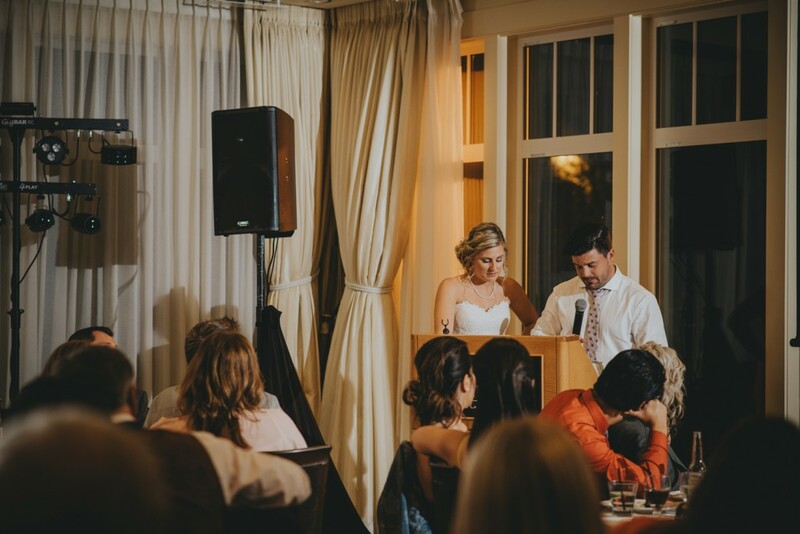 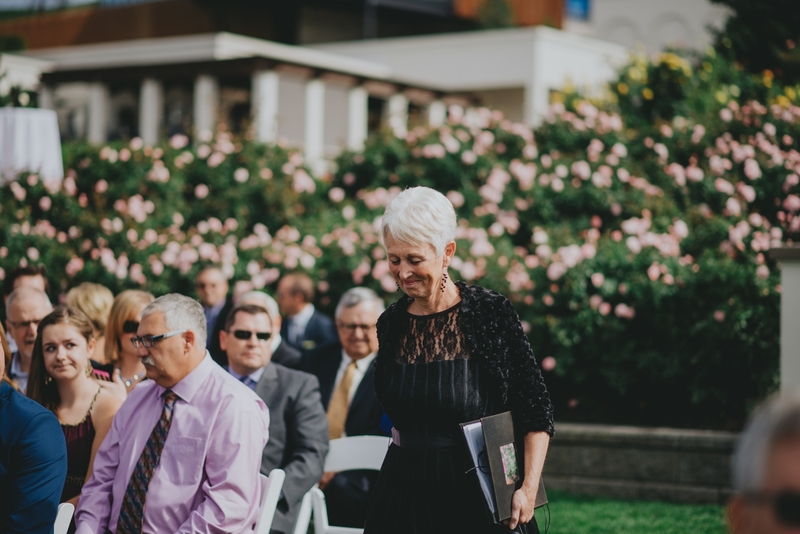 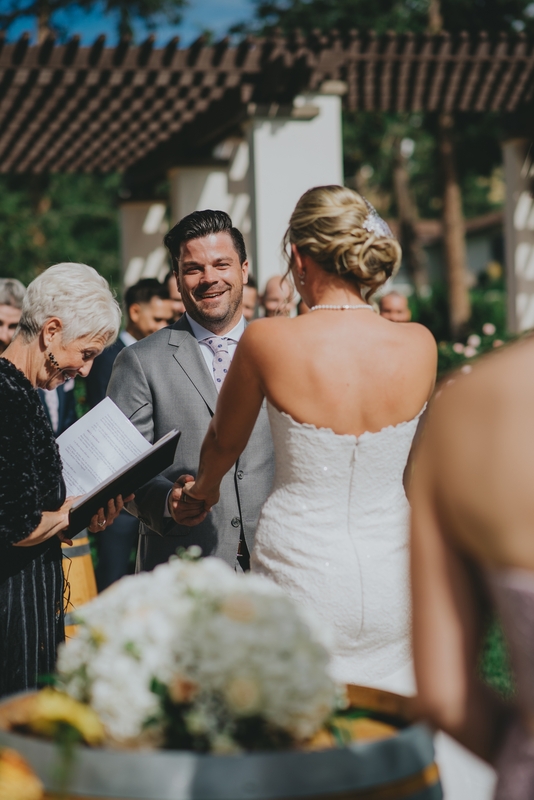 Their officiant, Barbara Cragg, was the absolute cherry on top to make this ceremony come together so perfectly. 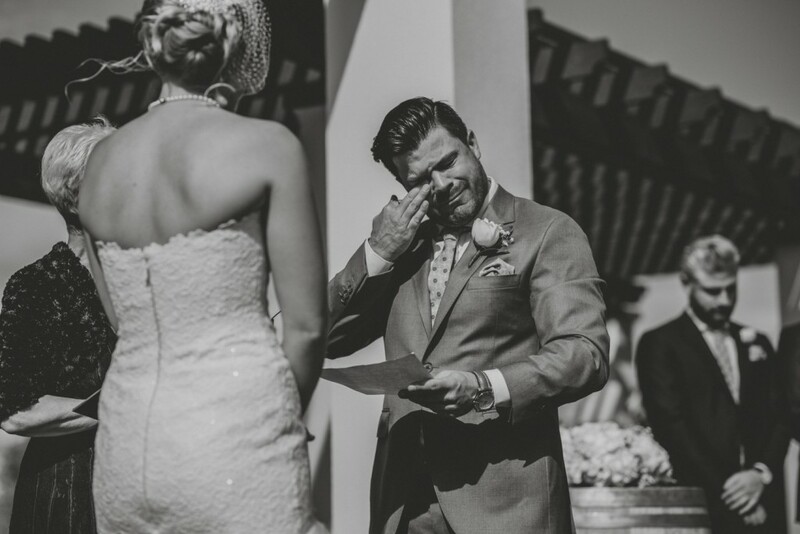 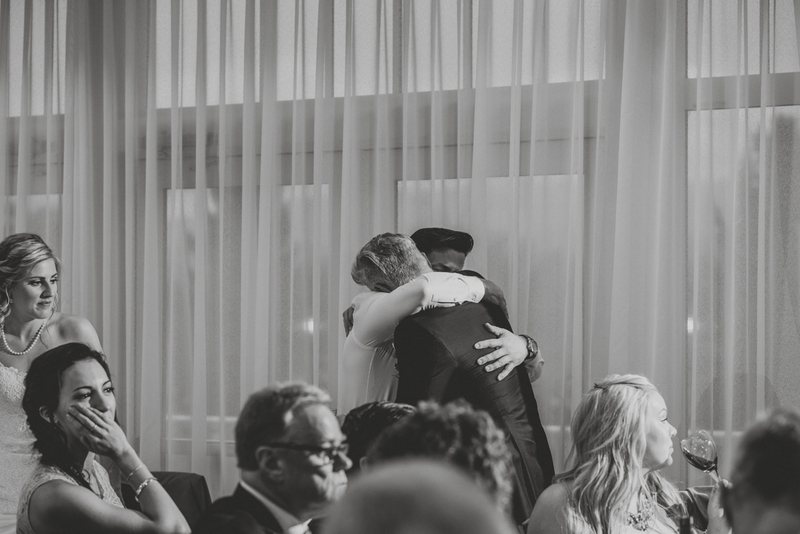 Ashley walked down the aisle looking absolutely stunning, as Brett’s tears of happiness spoke for themselves. 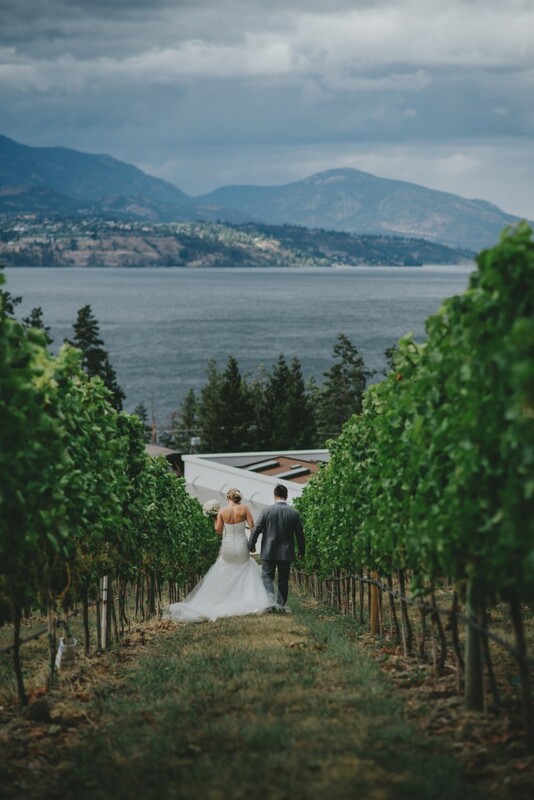 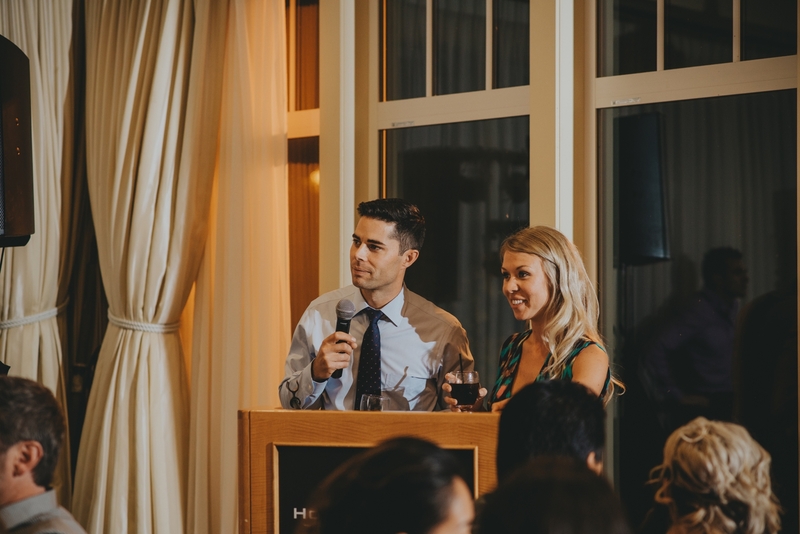 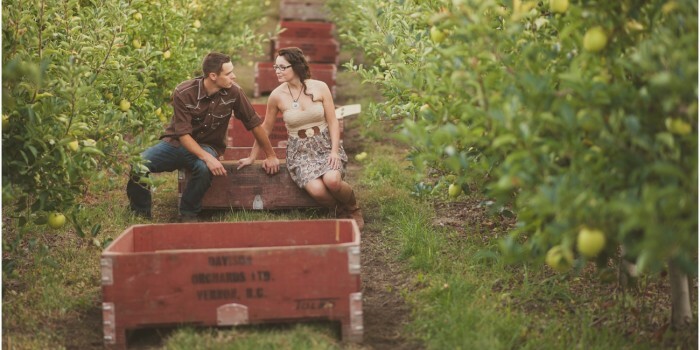 These two said I do and we then headed into the vineyard with the whole wedding party to adventure through the rows while dodging the storm that was about to roll in. 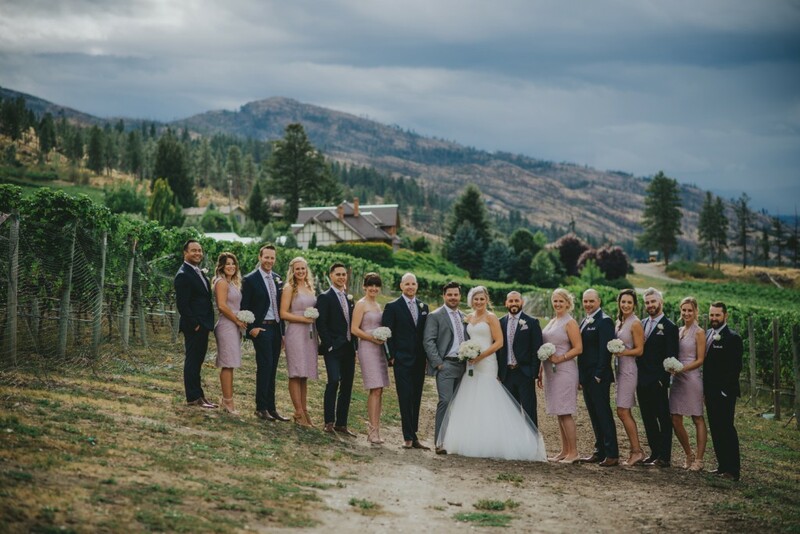 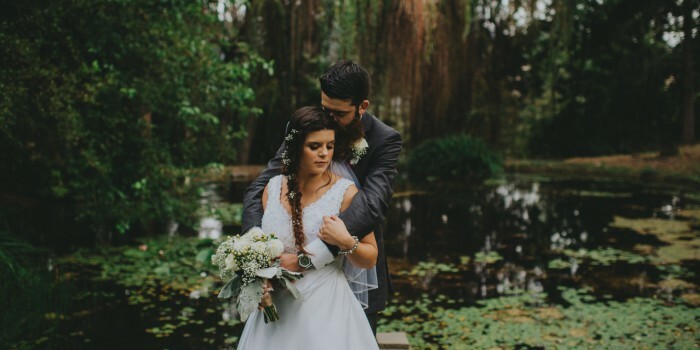 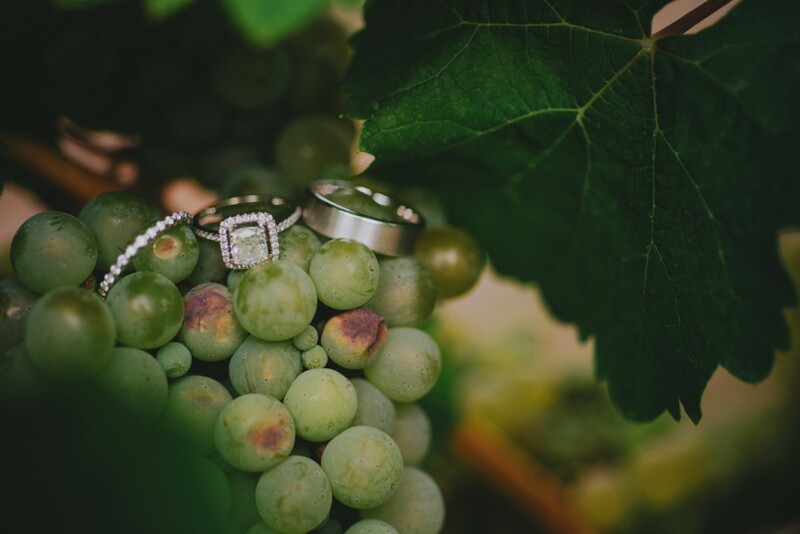 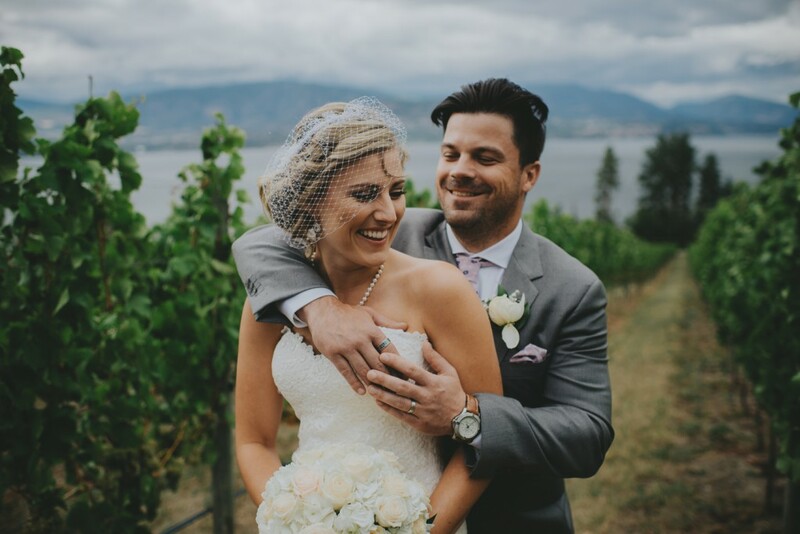 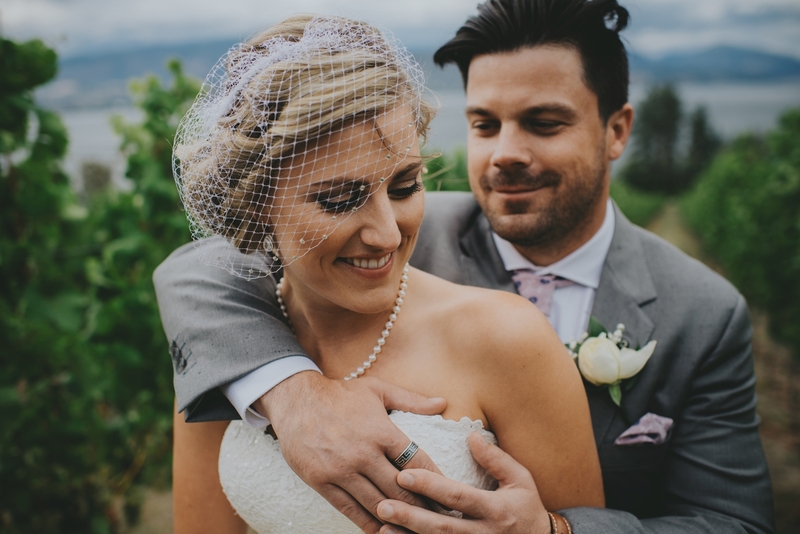 After wrangling up the whole wedding party for photos, we then spent a more intimate time with just the two of them surrounded by the grapevines. 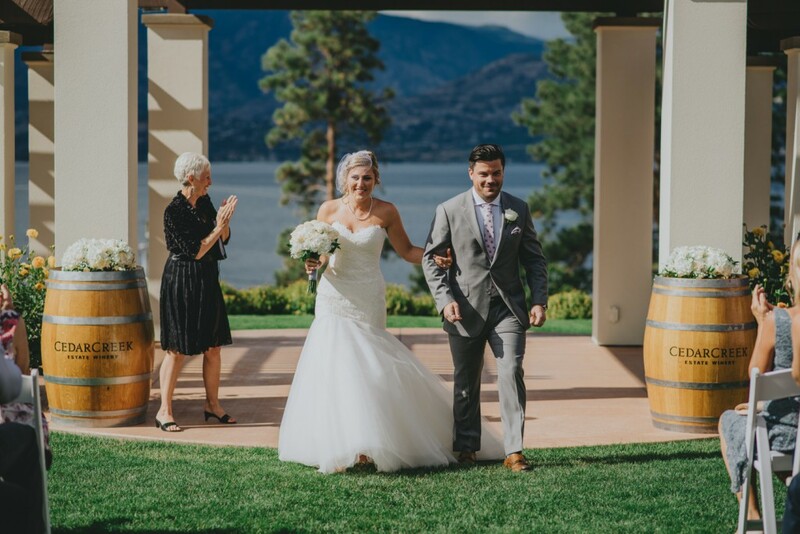 This was one unreal scene, I mean does it get much better? 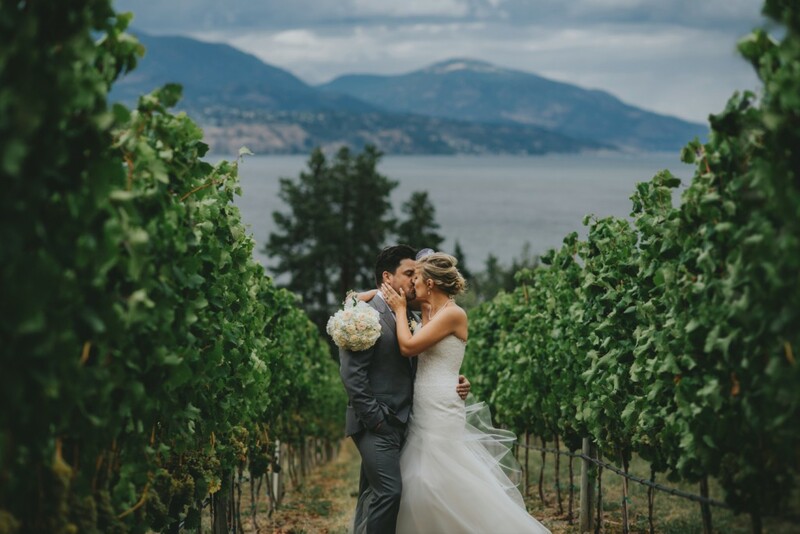 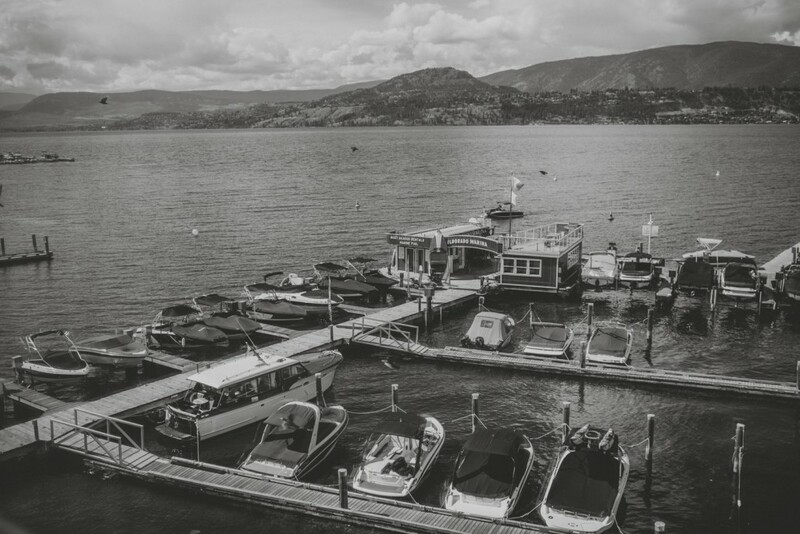 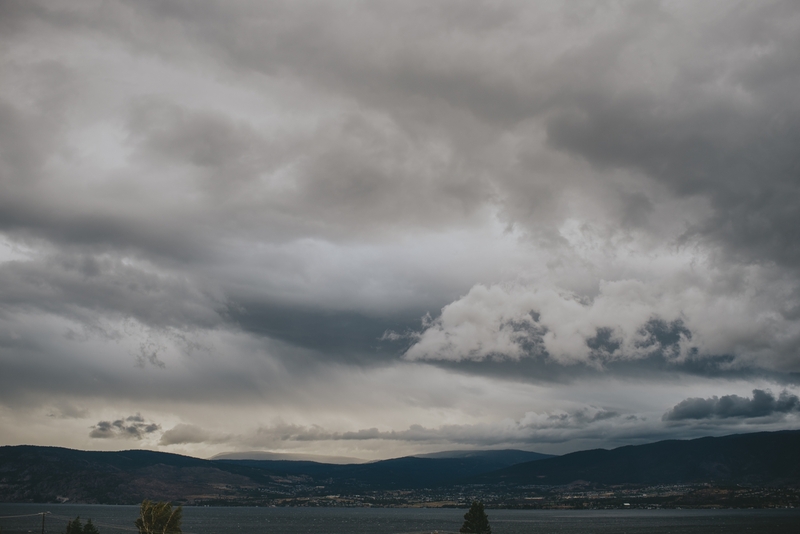 Surrounded by the lush vineyard, over looking the lake, and backed by mountains.. Okanagan at its finest. 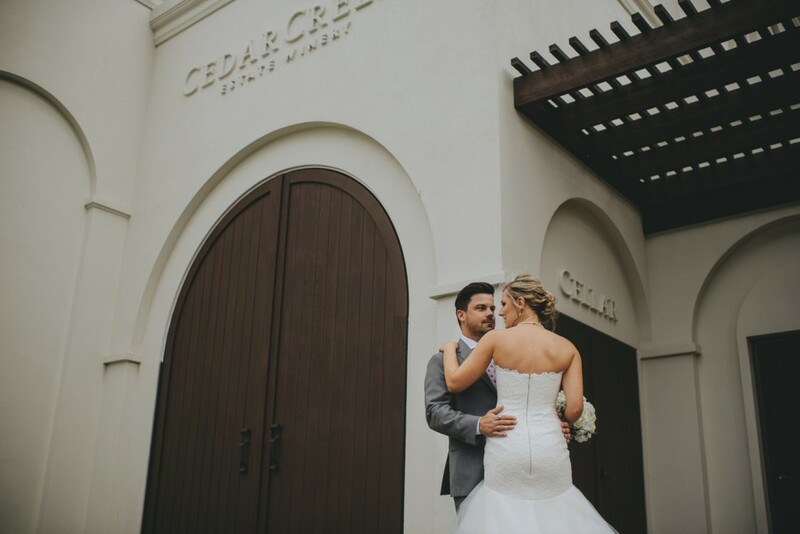 Before we left Cedar Creek we had to shoot with the stellar architecture & lines of the buildings. 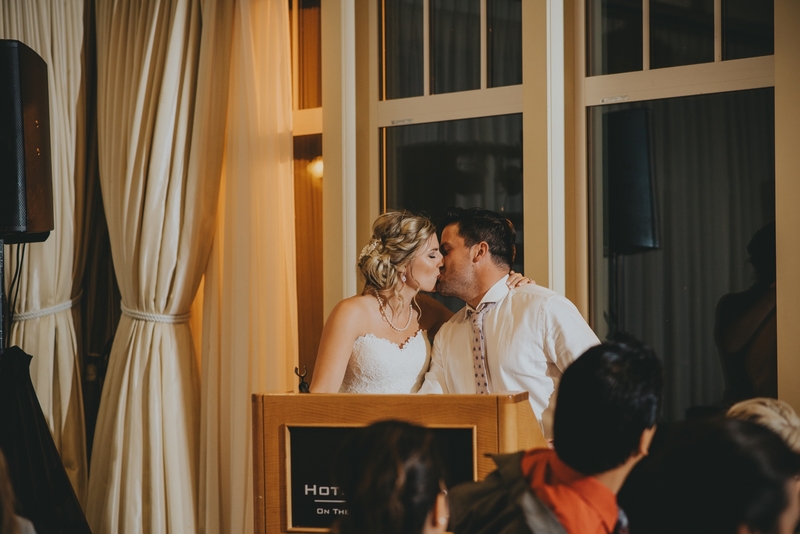 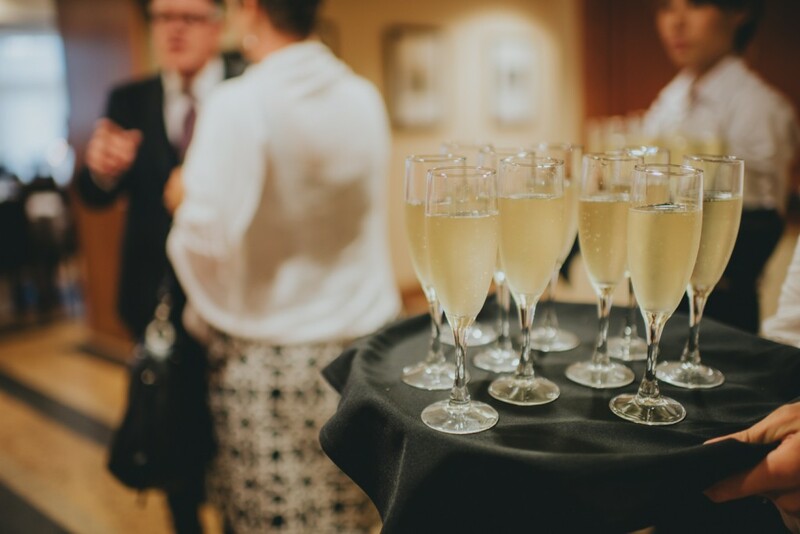 The reception was at The Hotel Eldorado, and it was amazing. 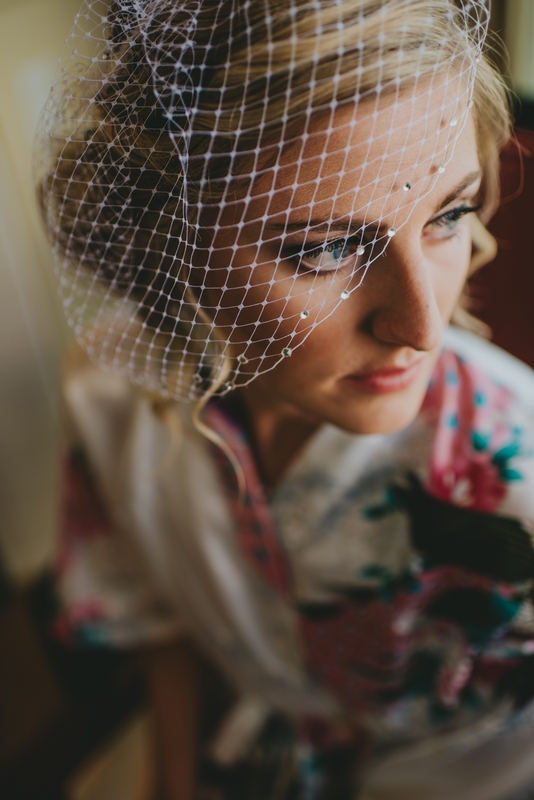 Bethany at Peace of Mind Weddings, as usual, outdid herself and had the day flowing smoothly from start to finish. 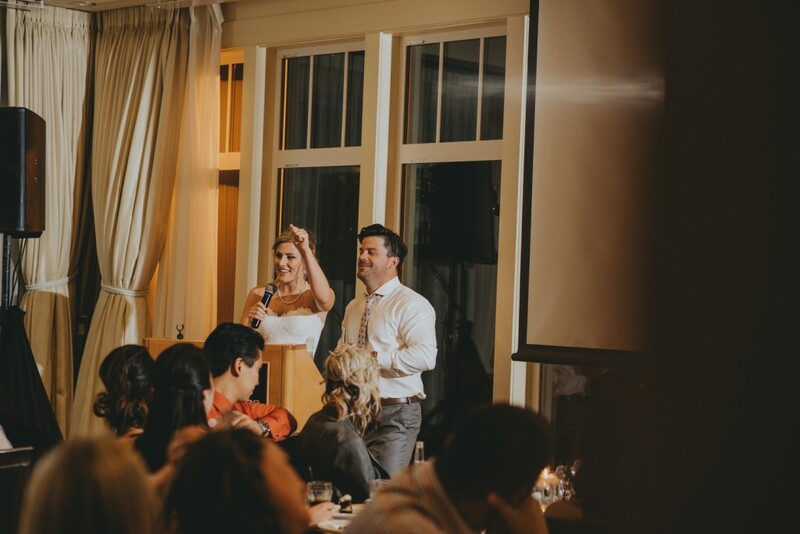 The evening went on with delicious food, heart filled speeches, laughs, tears, and everybody celebrating one true married love!